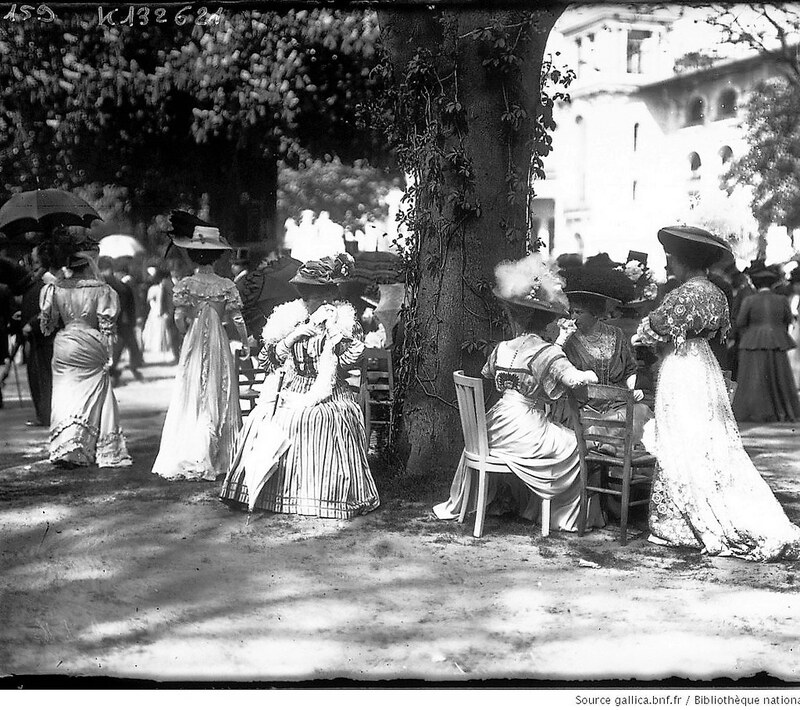 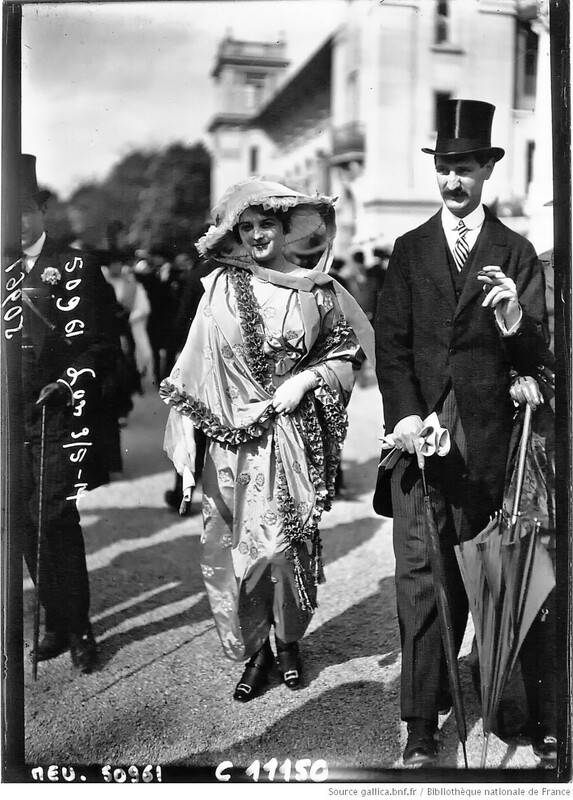 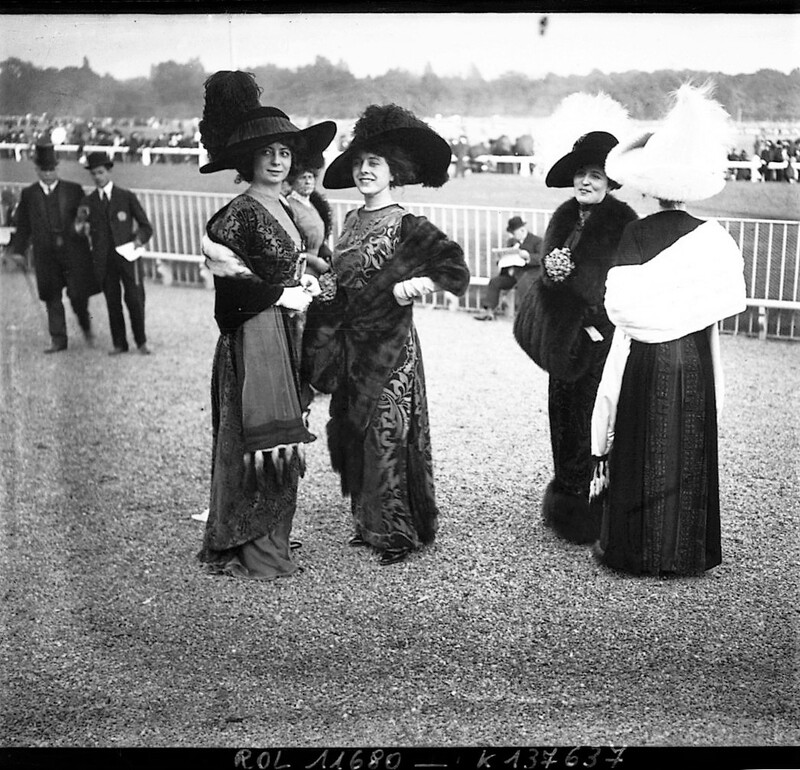 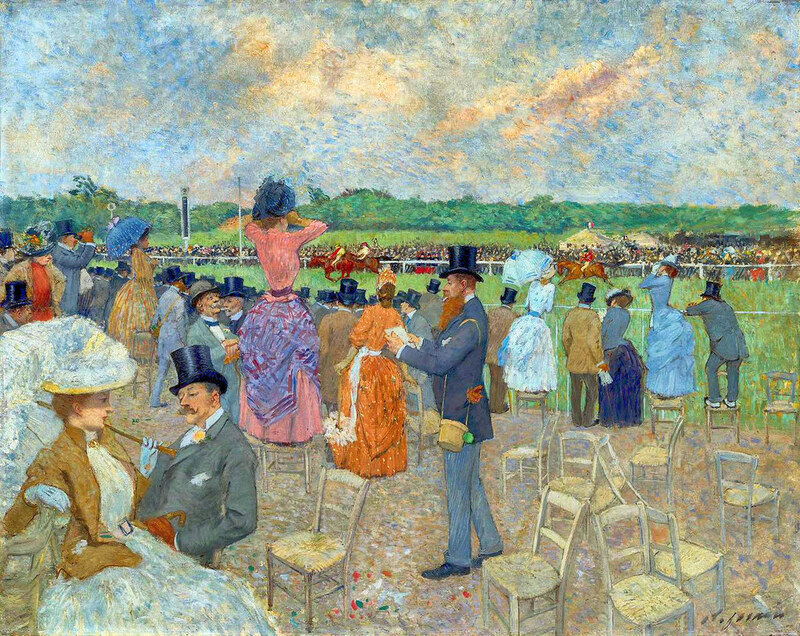 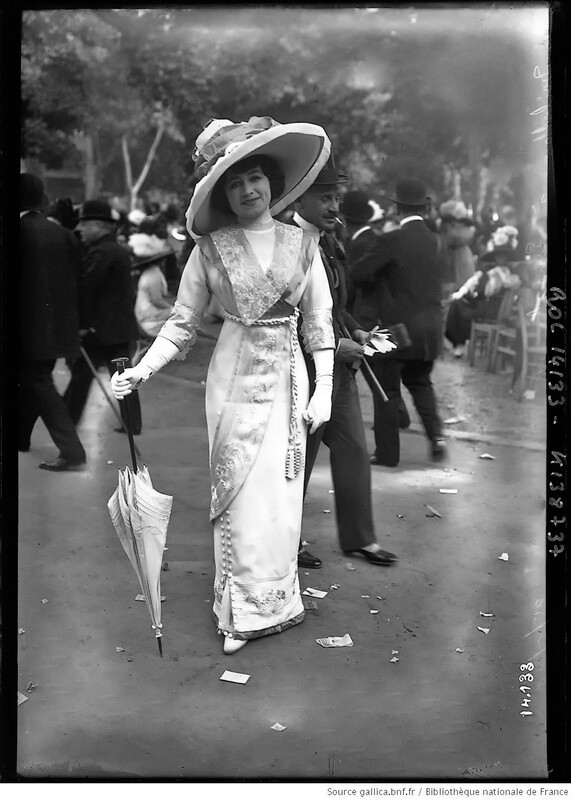 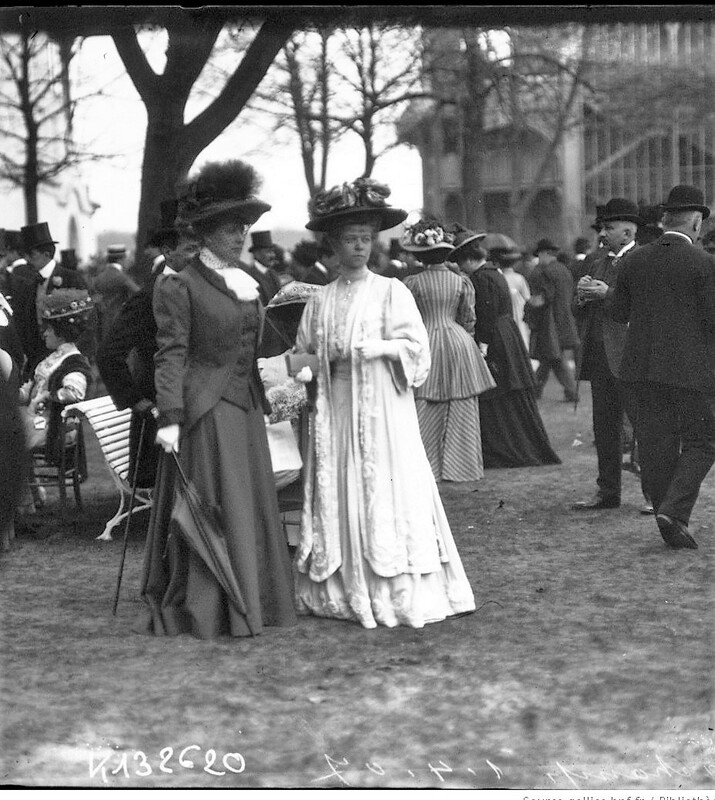 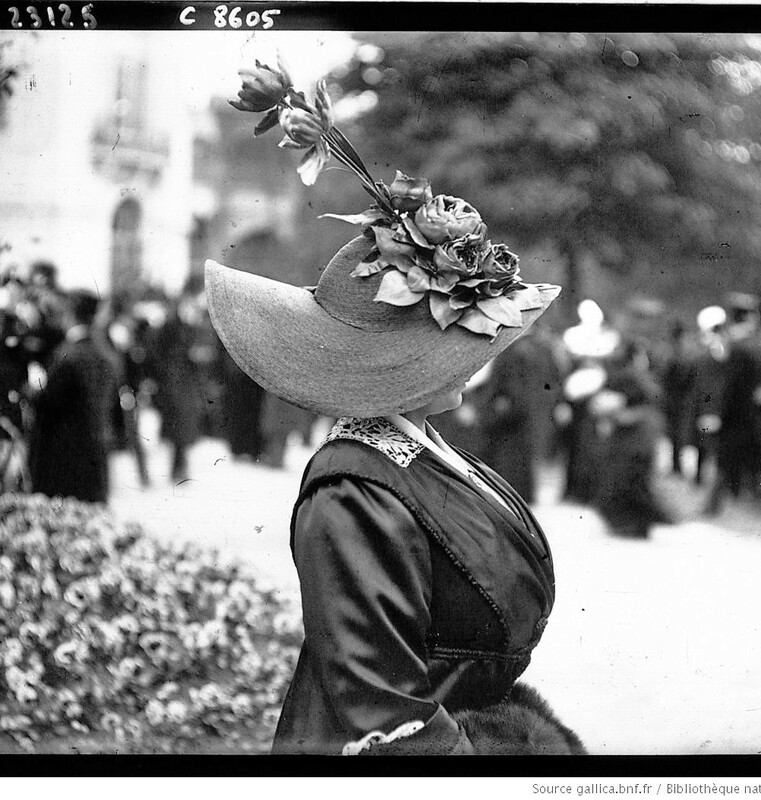 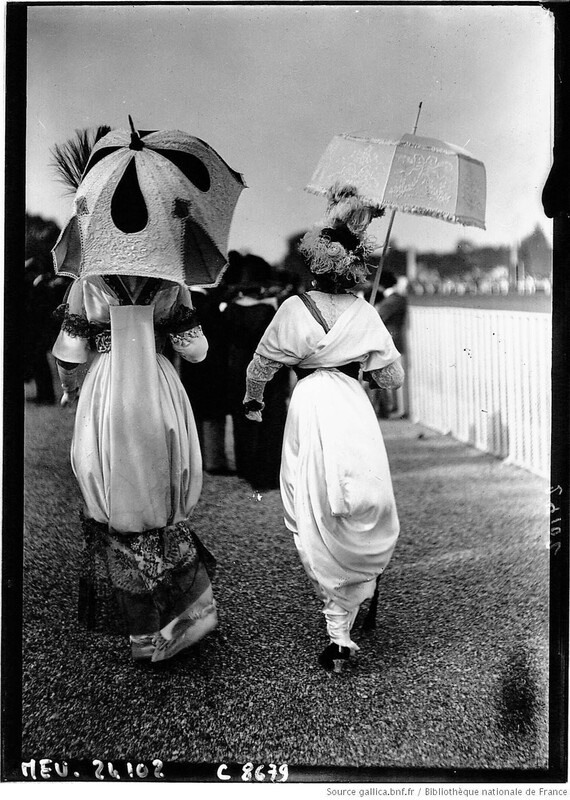 Attracting enormous crowds, by the late 1800s, the Longchamp Racecourse in the Bois de Boulogne in Paris had become one of the most fashionable public venues in France. 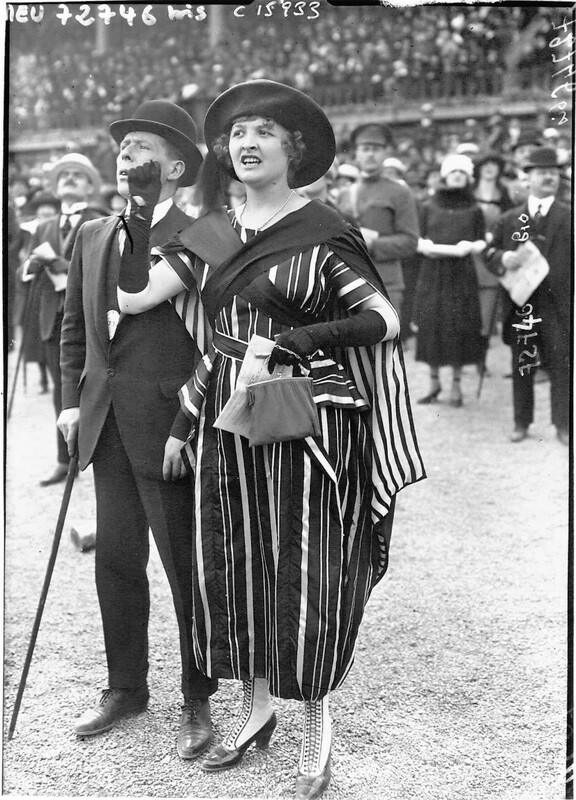 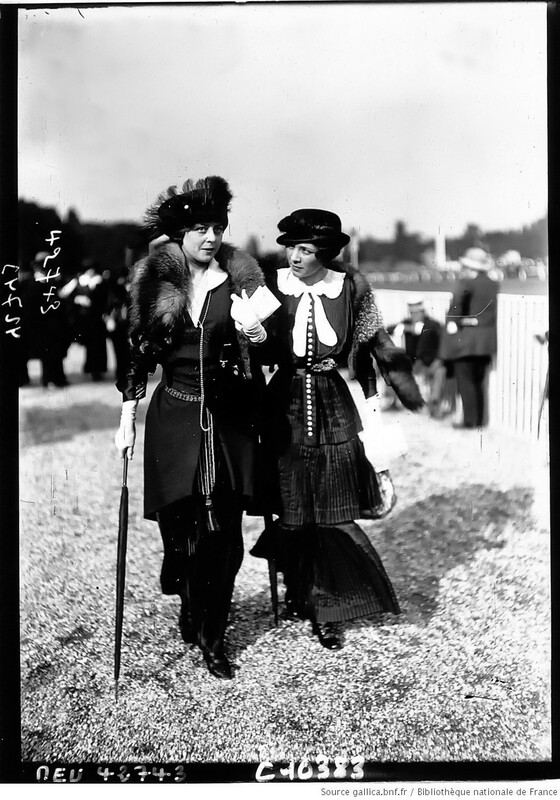 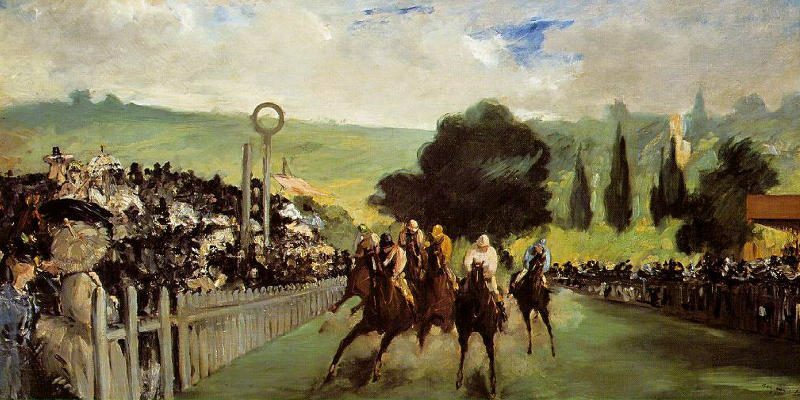 Spectating at the races was an immensely popular and socially prestigious pastime. 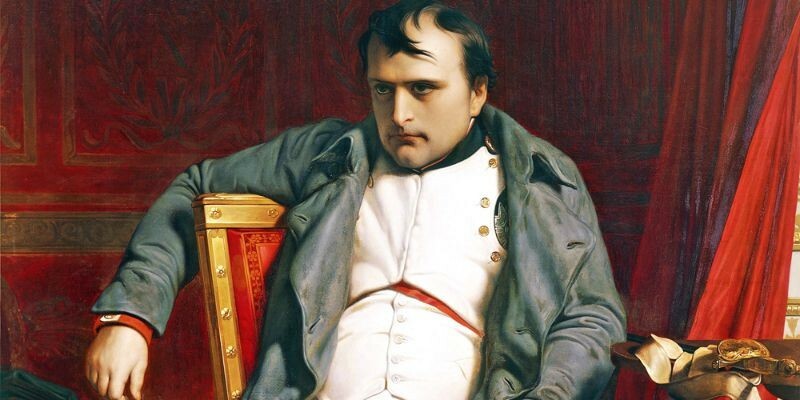 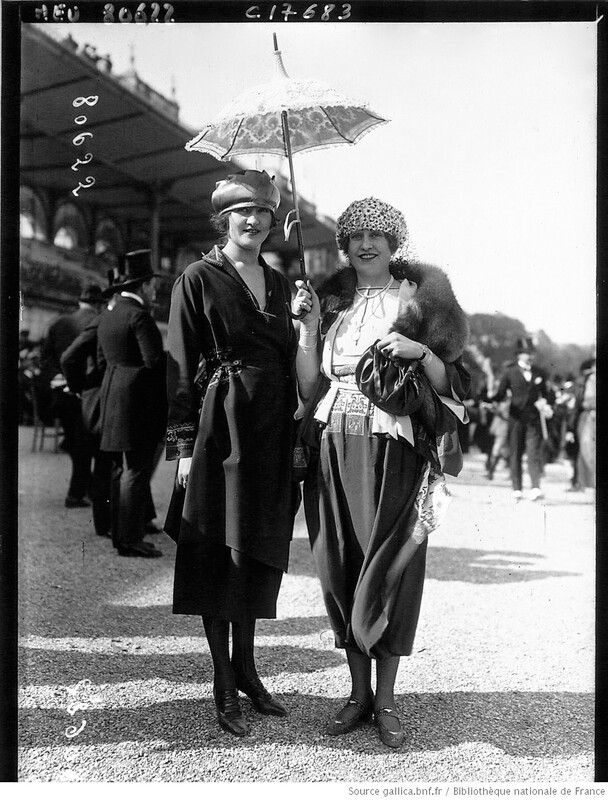 A place to see and be seen, Longchamp was like a giant stage to vaunt one’s social position. 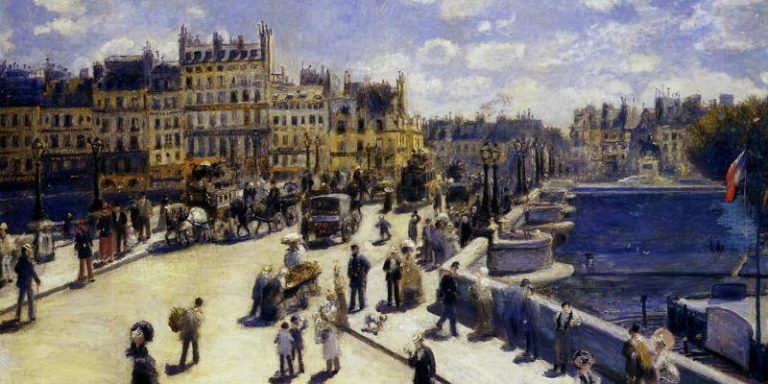 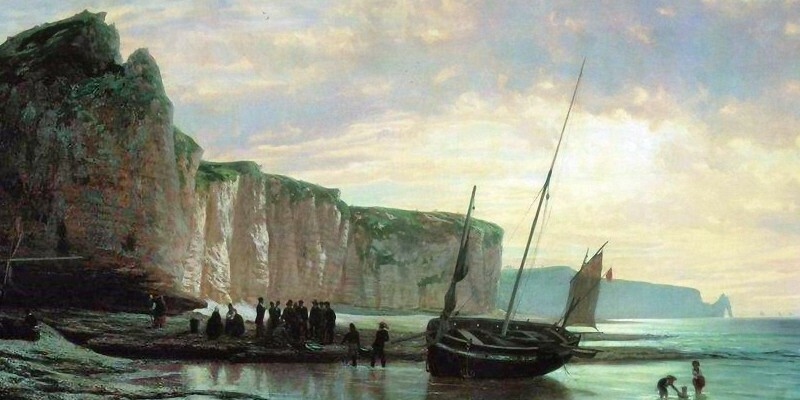 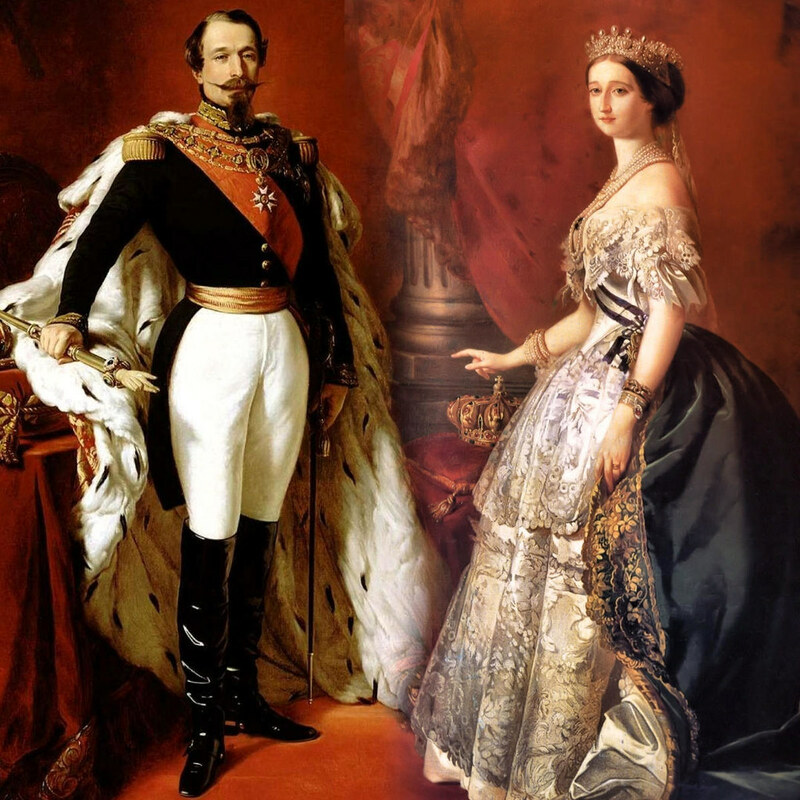 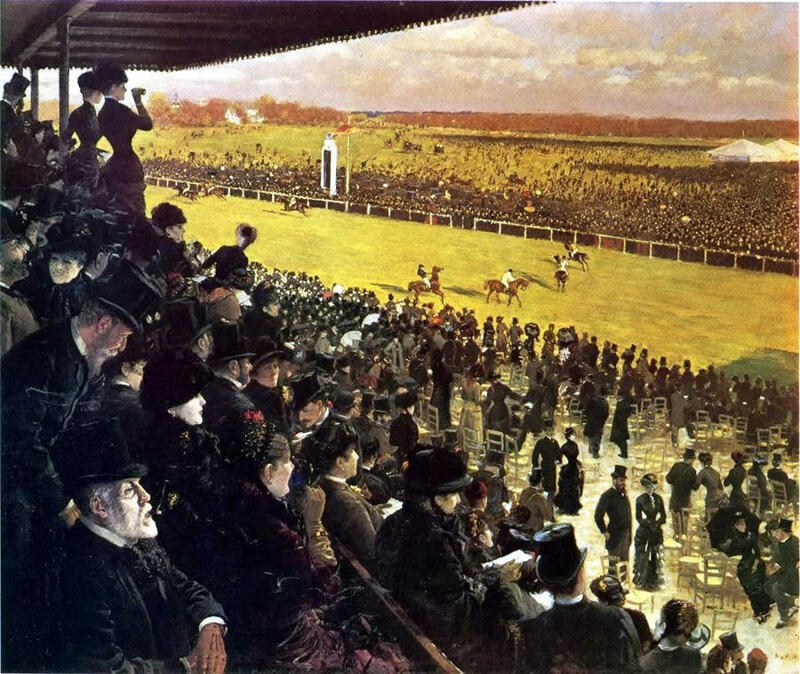 Attended by Emperor Napoleon III and his wife Eugénie, who sailed down the Seine River on their private yacht to catch the third race, Longchamp Racecourse opened to the public on Sunday, April 27, 1857. 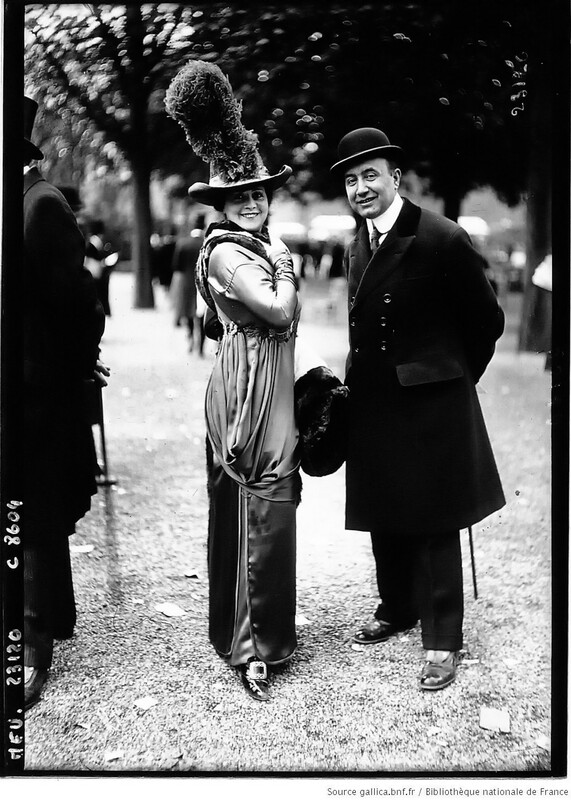 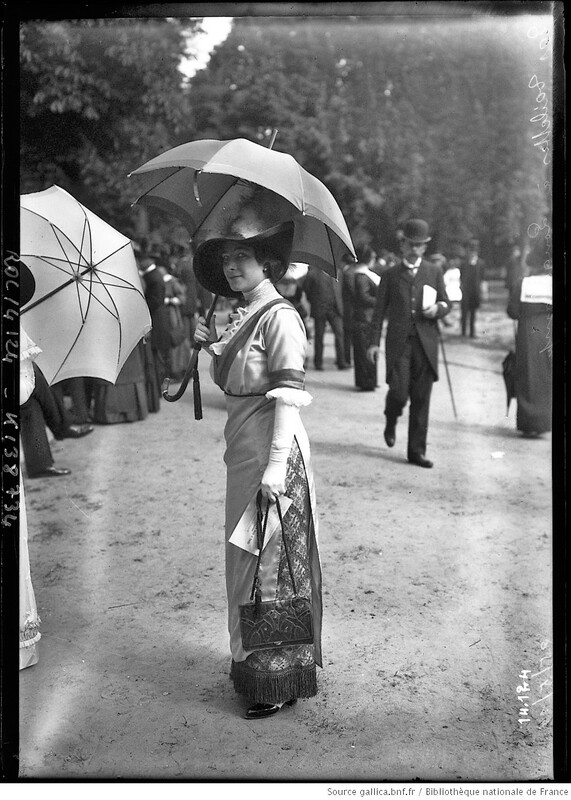 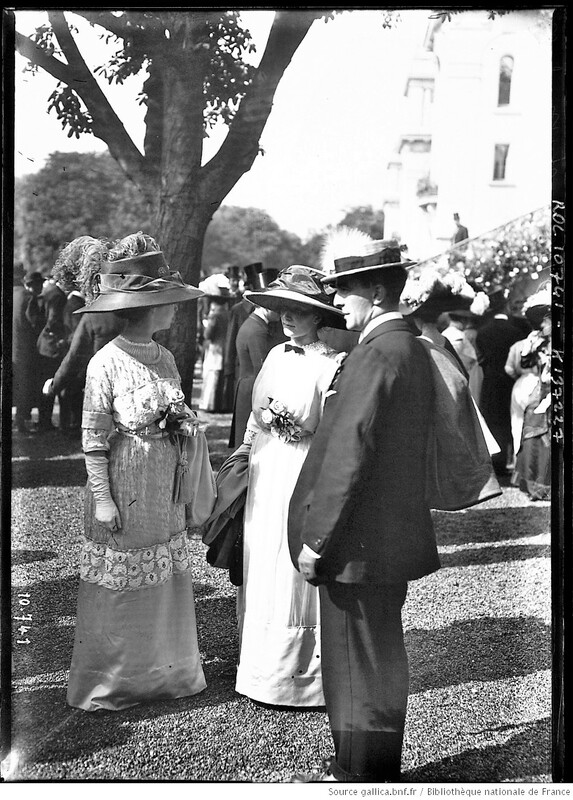 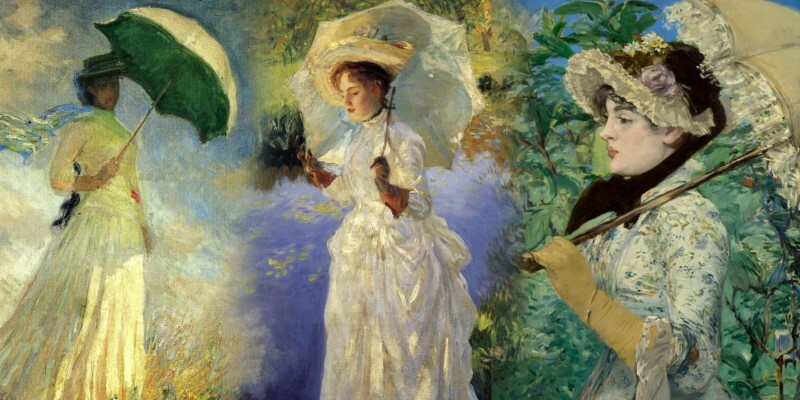 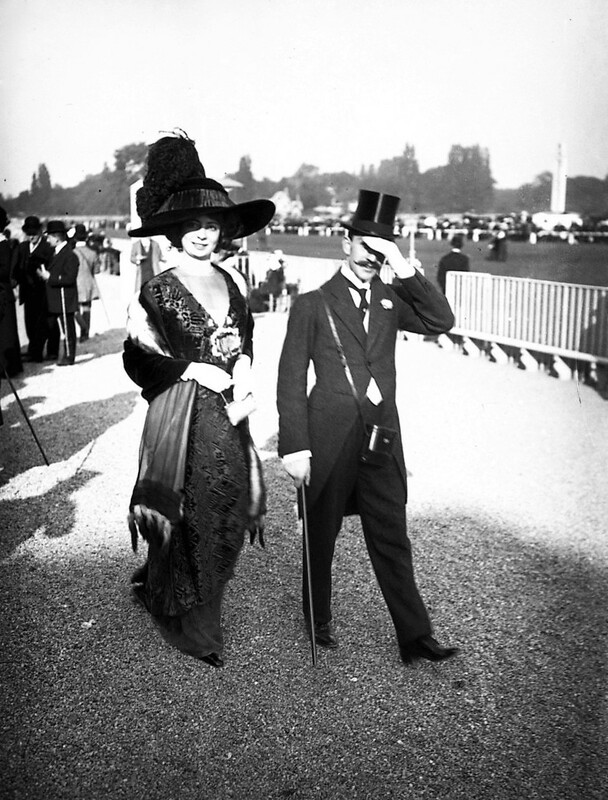 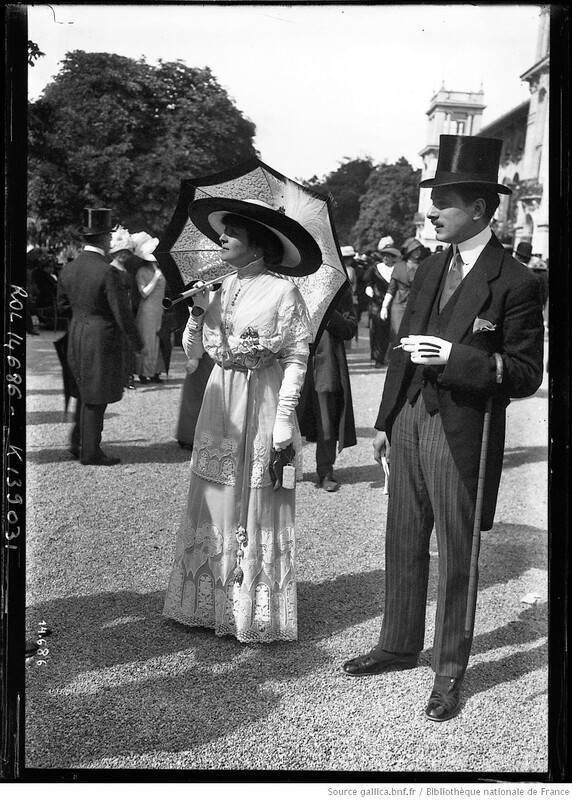 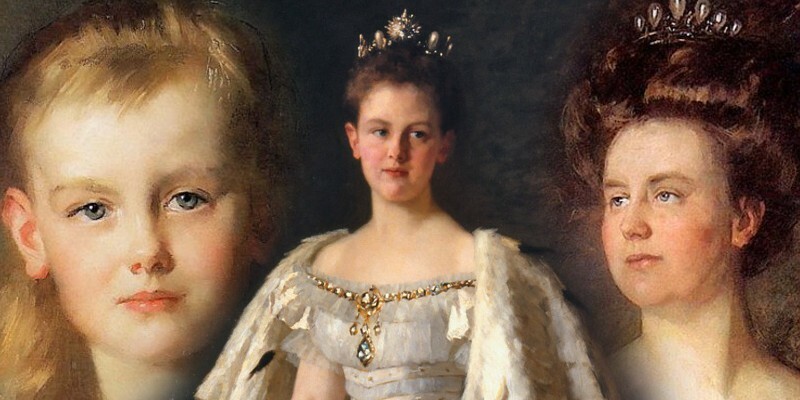 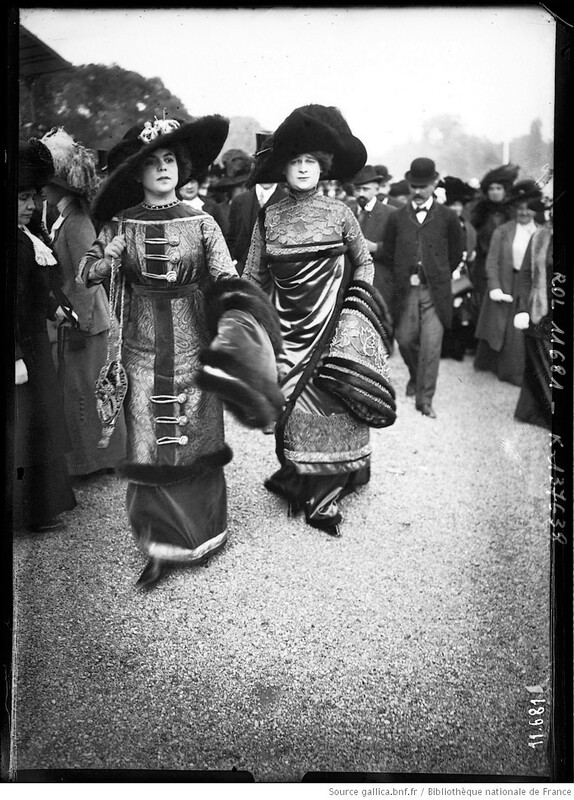 And it wouldn’t only be French Royalty who loved Longchamps—King Edward VII of Great Britain attended too. 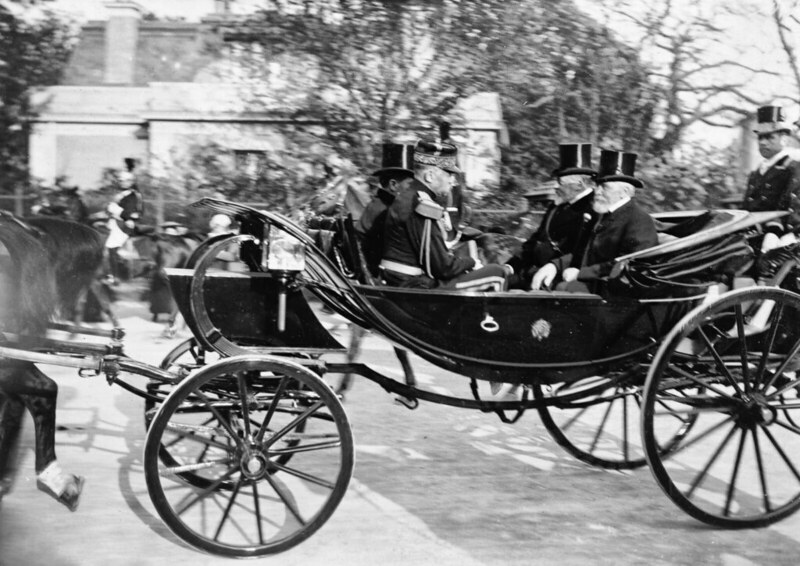 The King’s carriage leaving Longchamps with French Prime Minister Loubet and British King Edward VII, 1903. 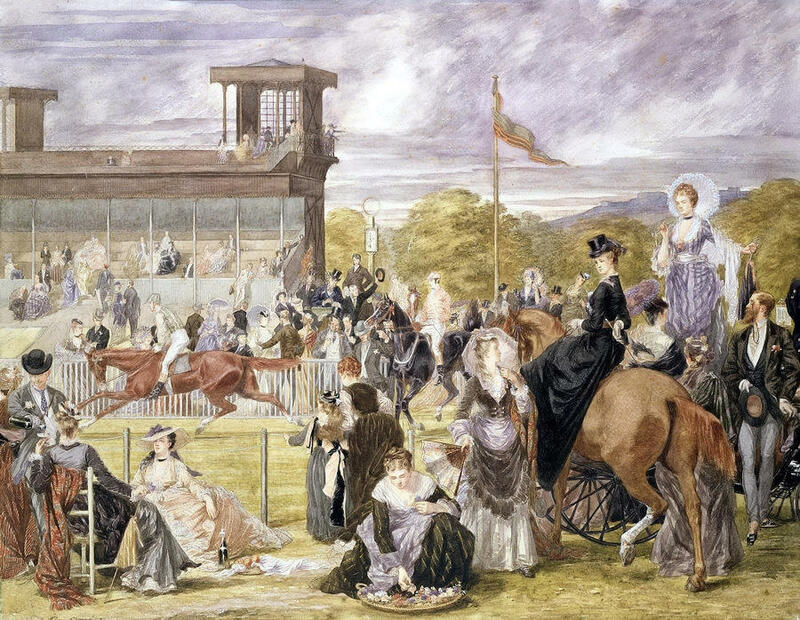 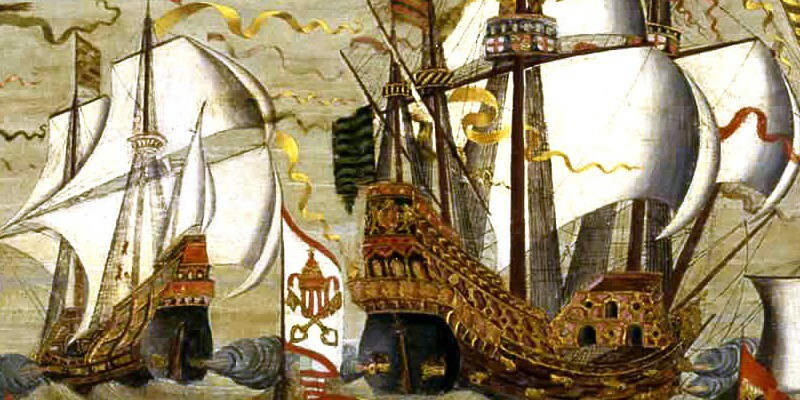 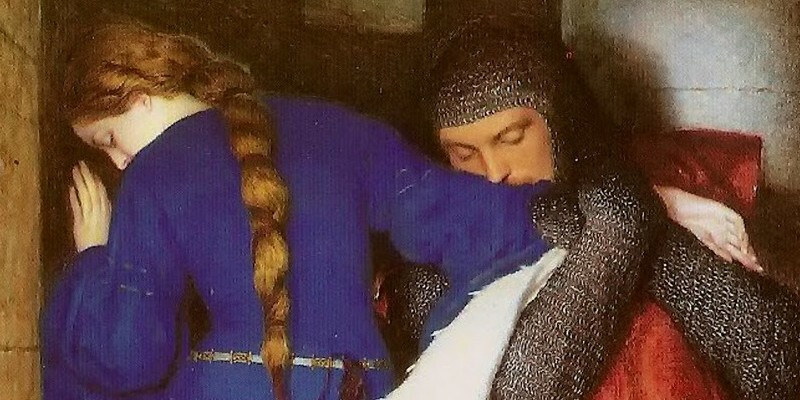 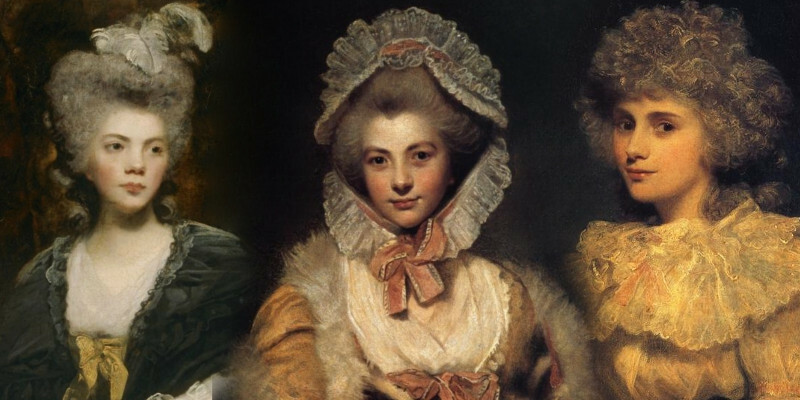 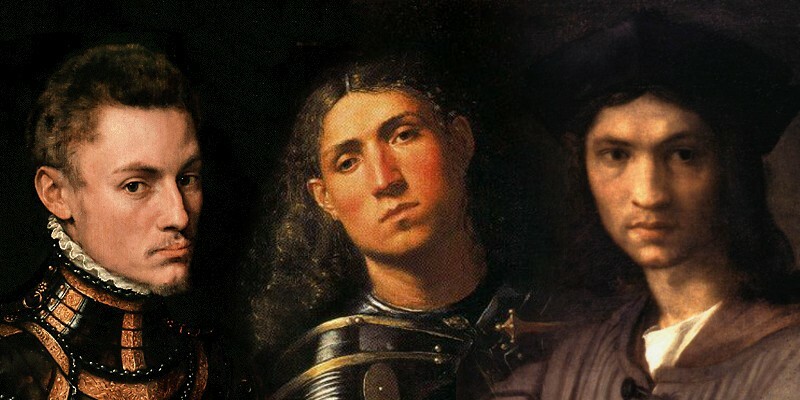 Enclosures were reserved for aristocrats and the well-connected and ladies were required to be escorted by a gentleman in order to enter. 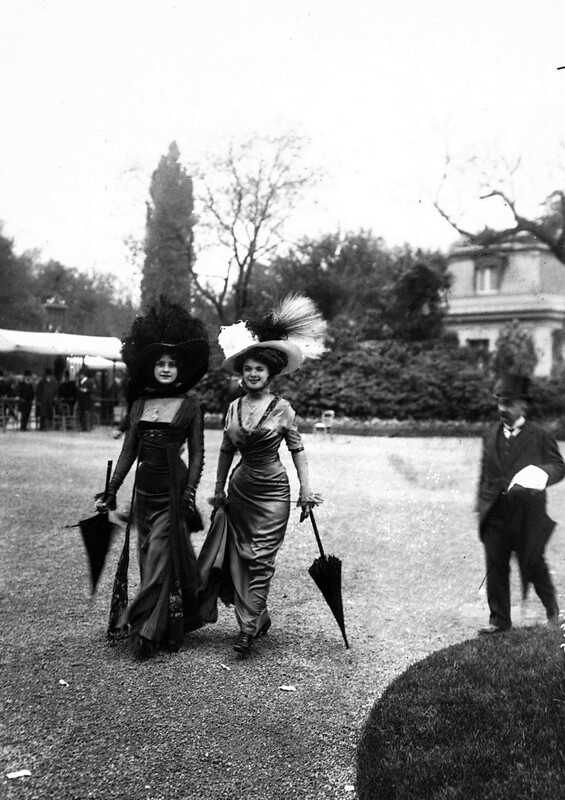 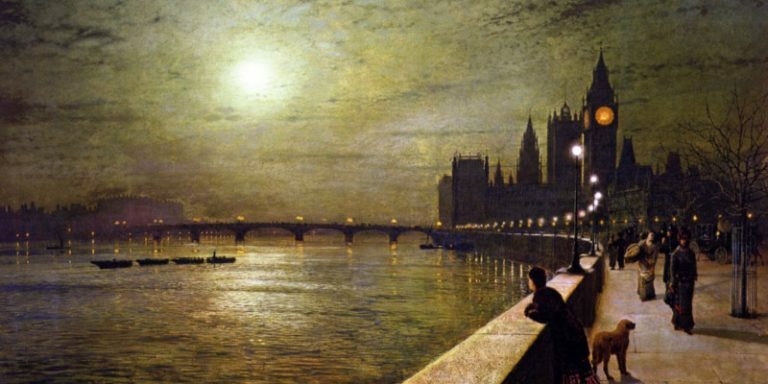 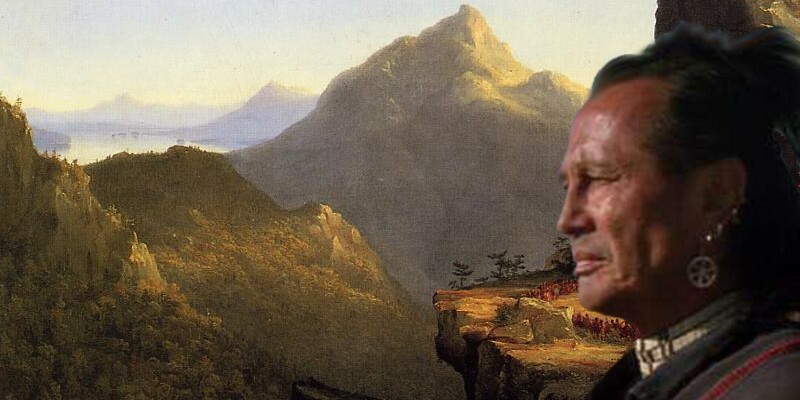 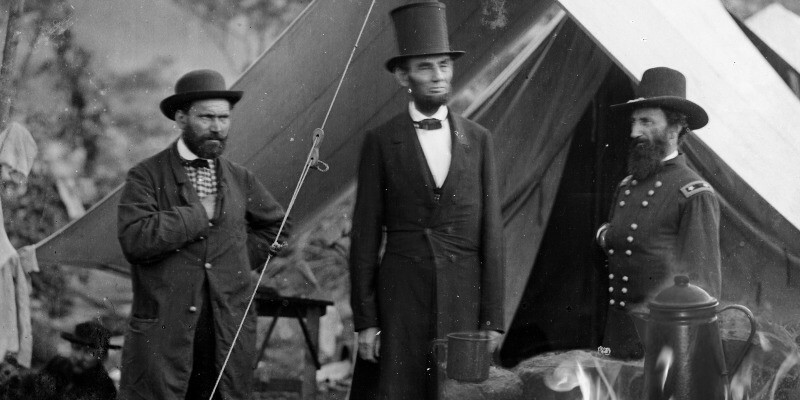 But grabbing the spotlight was a new class of celebrity: the demimonde. 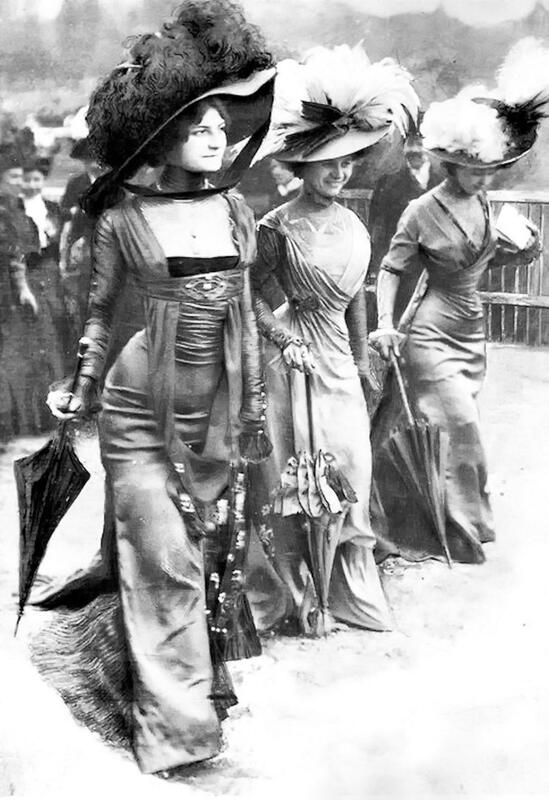 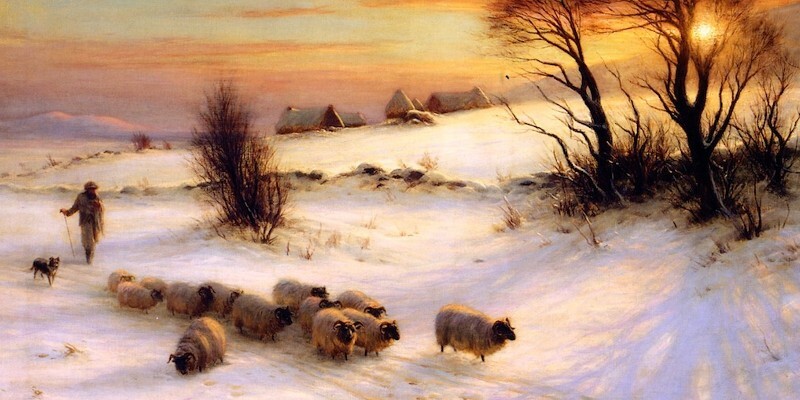 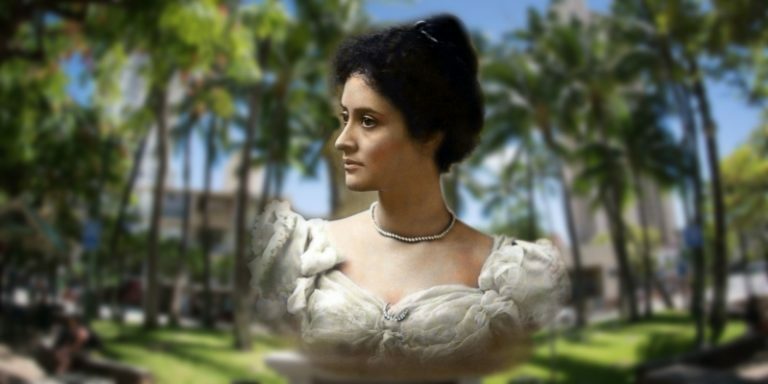 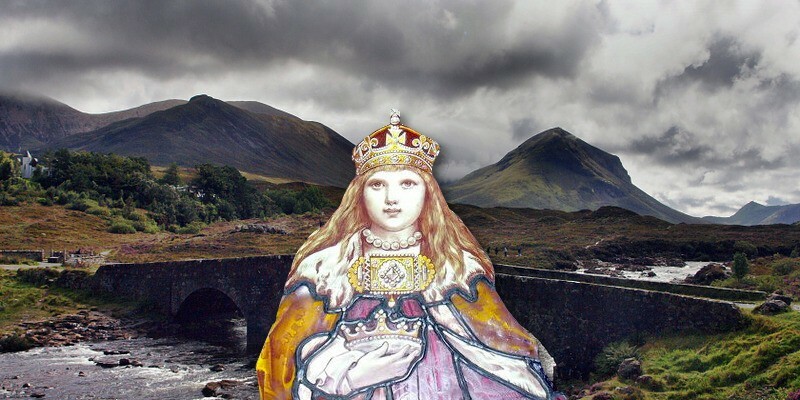 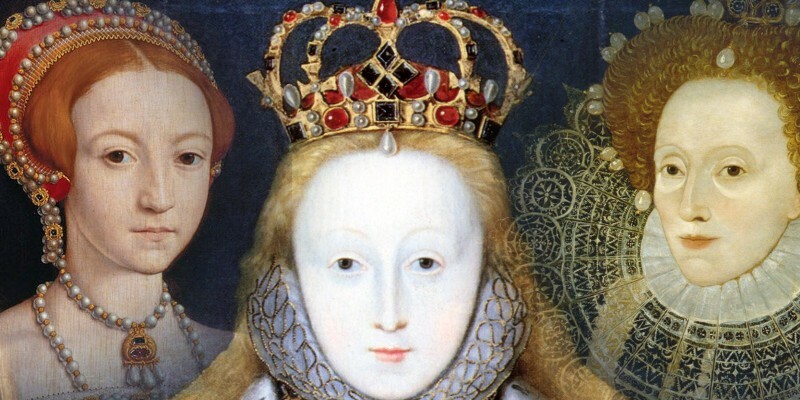 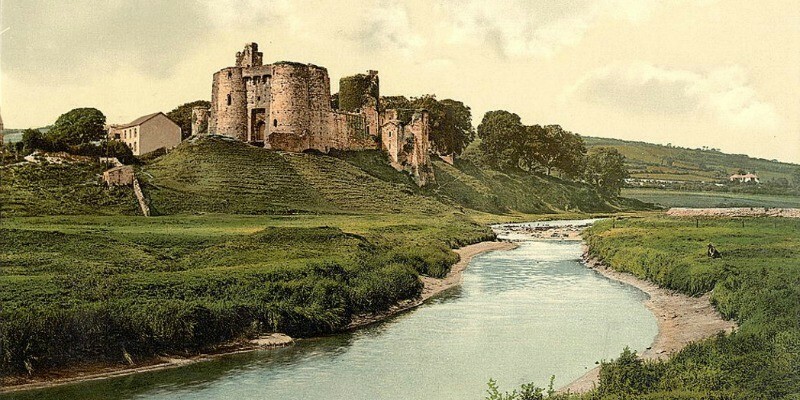 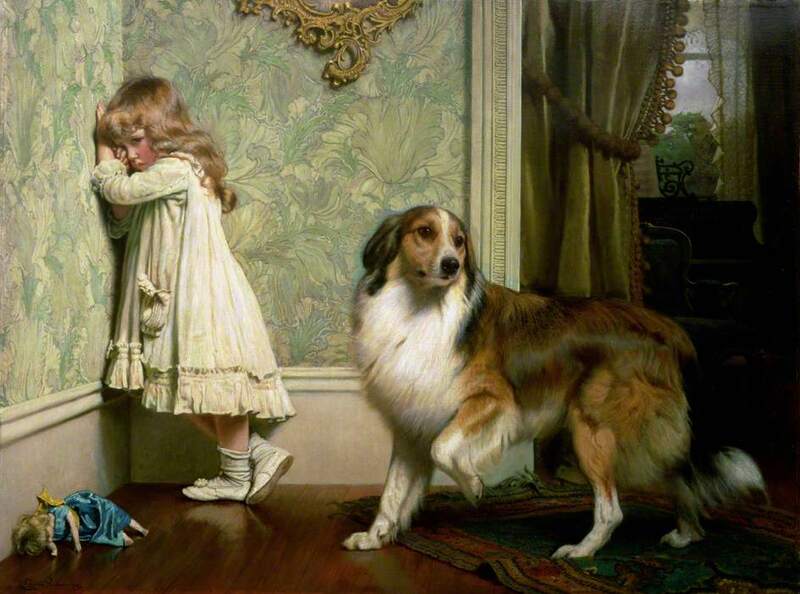 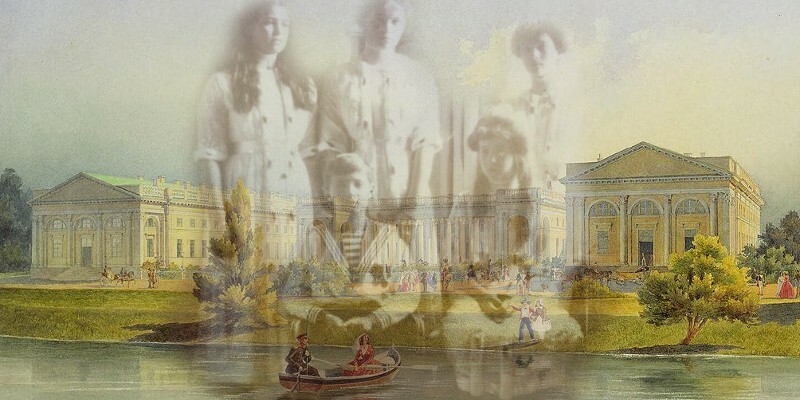 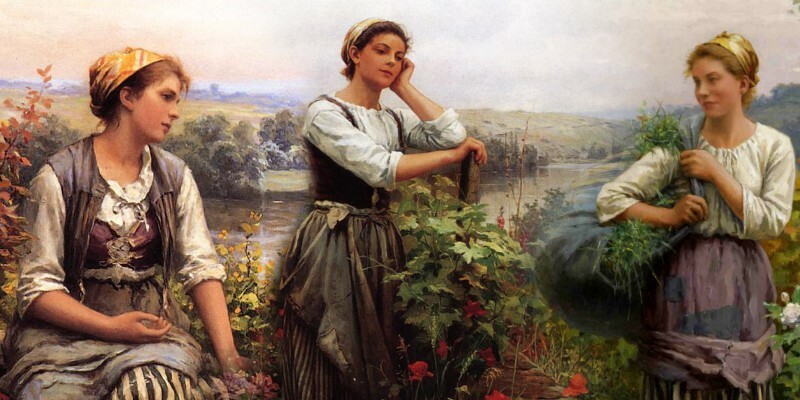 Supported by wealthy lovers, these were women on the fringes of respectable society. 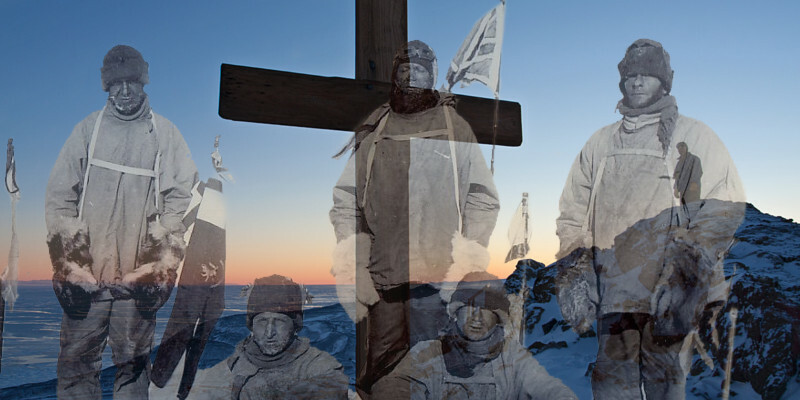 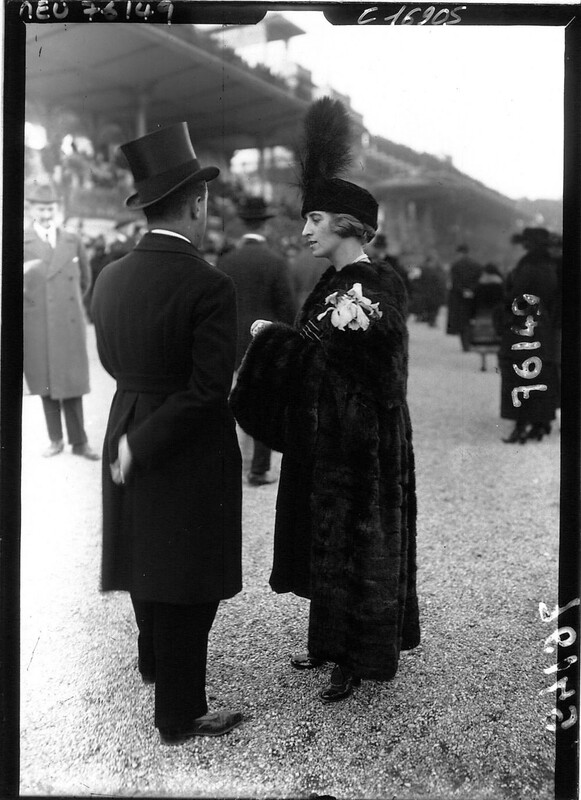 Arriving alone, demimondaine were forbidden access to the enclosures but were as much of a spectacle as the races themselves. 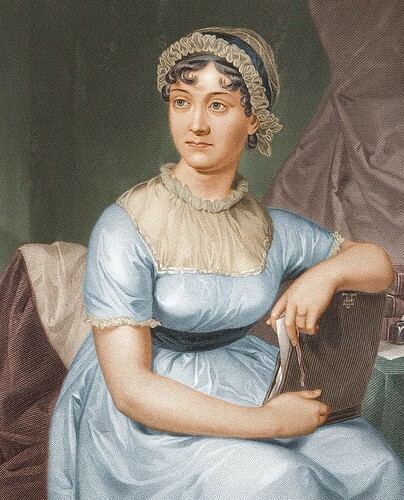 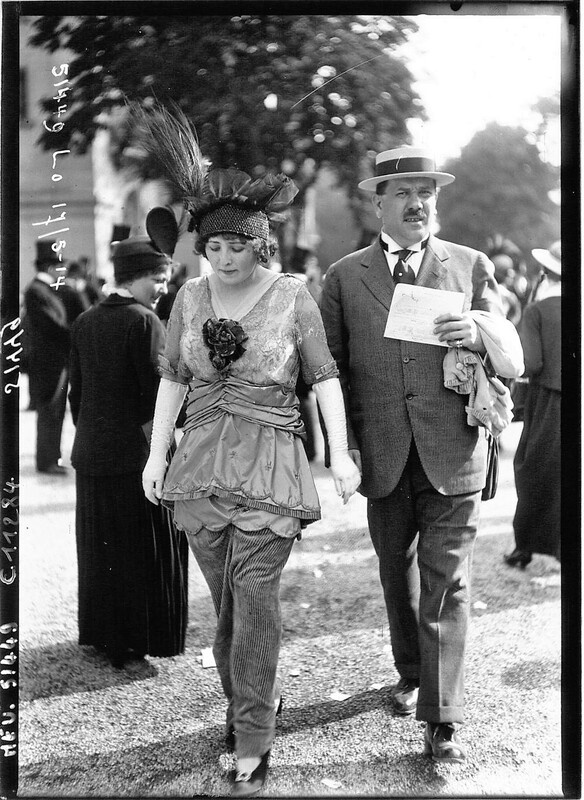 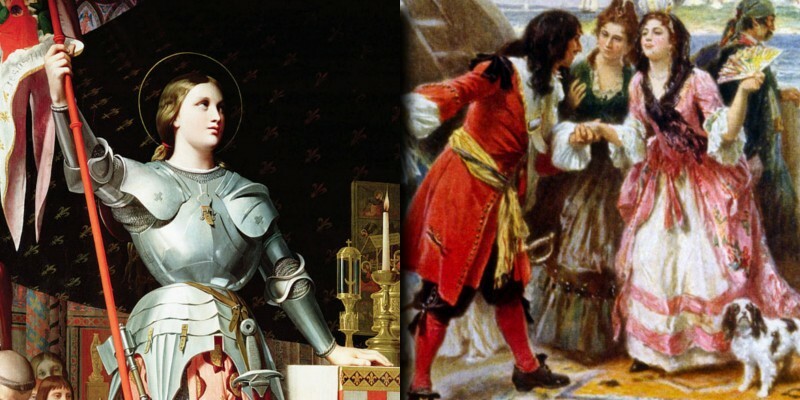 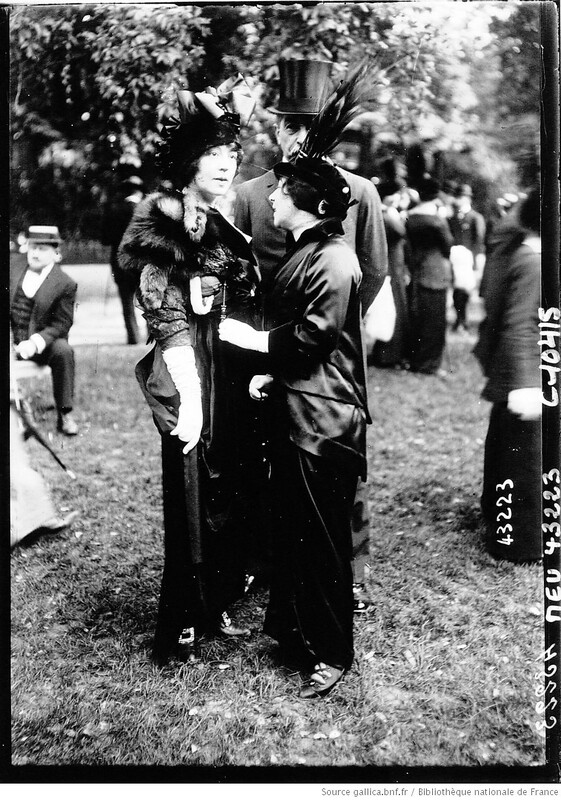 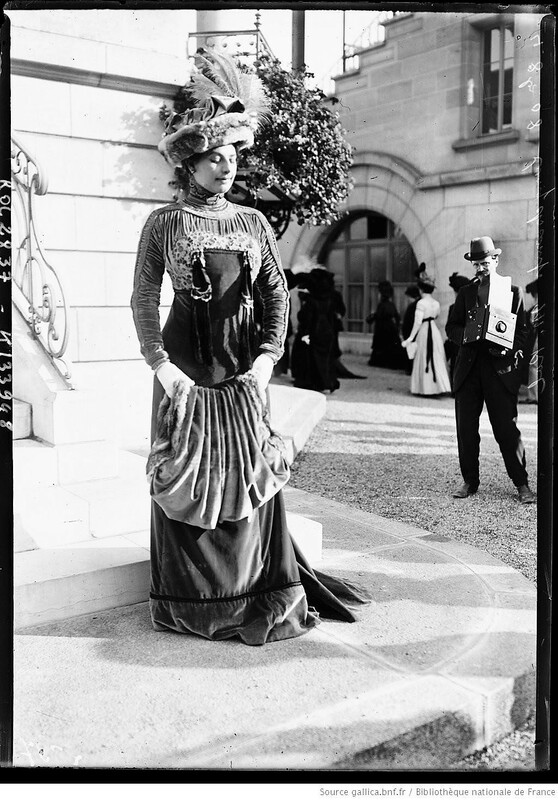 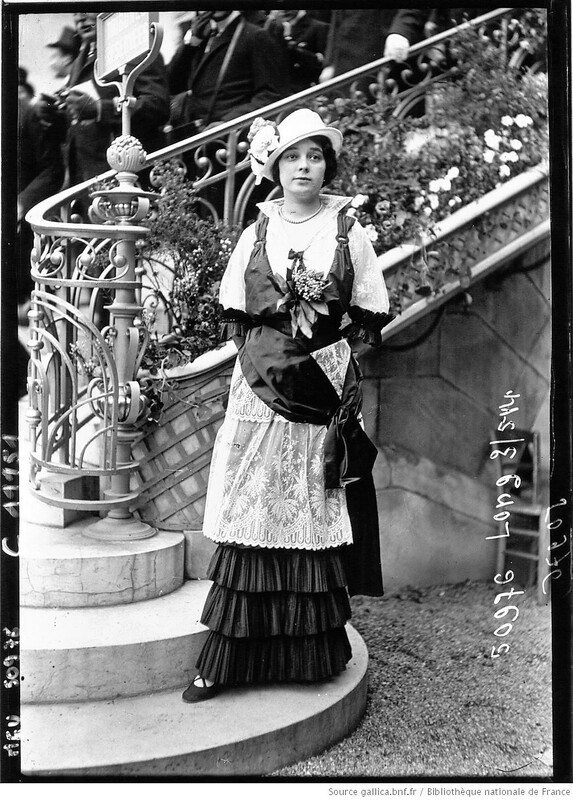 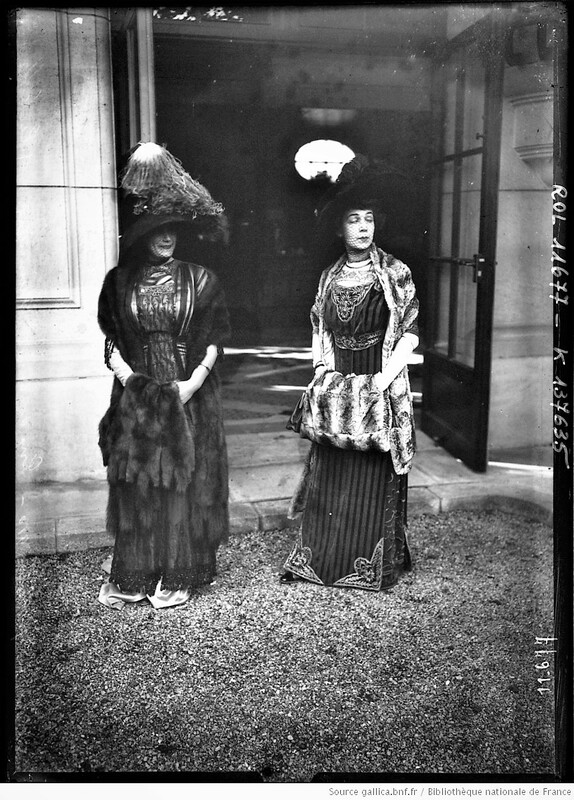 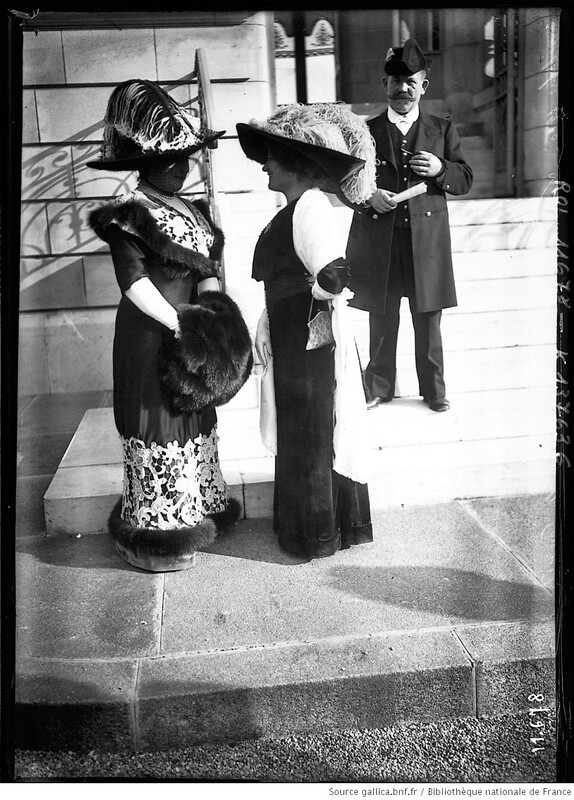 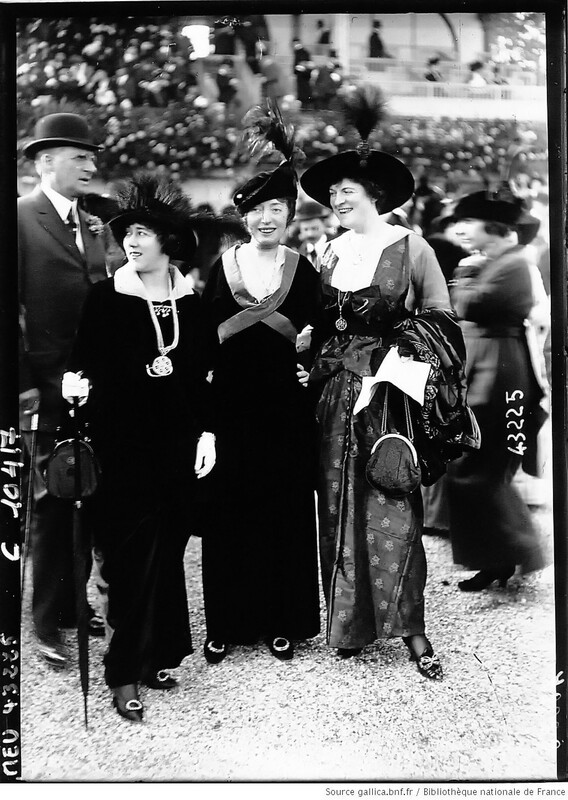 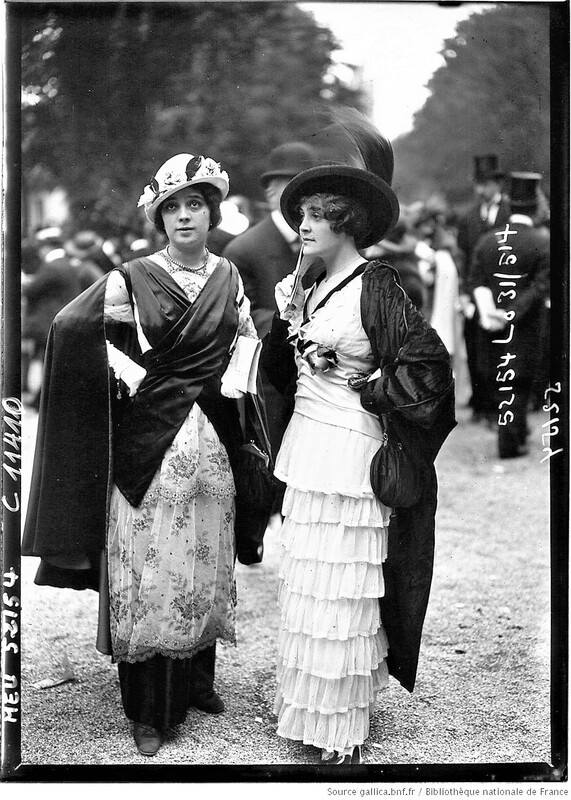 Mixing with society women, they often shared the same couturier but appeared a little more chic. 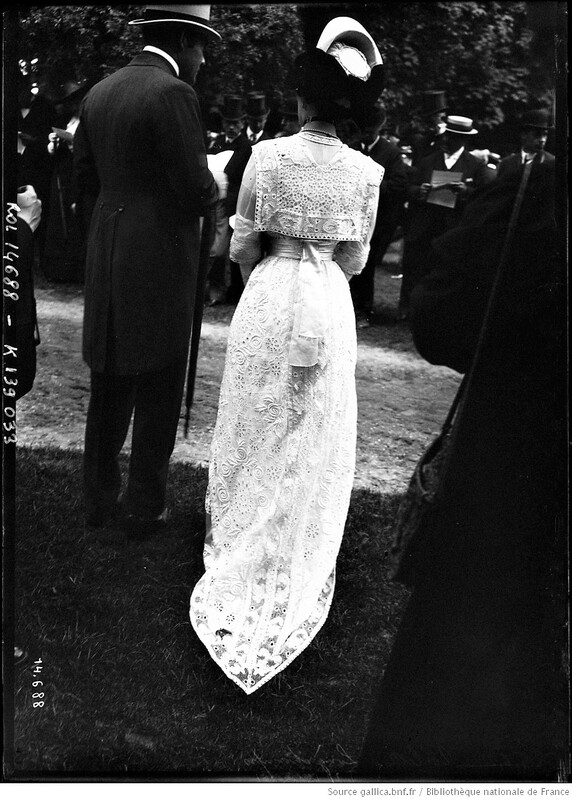 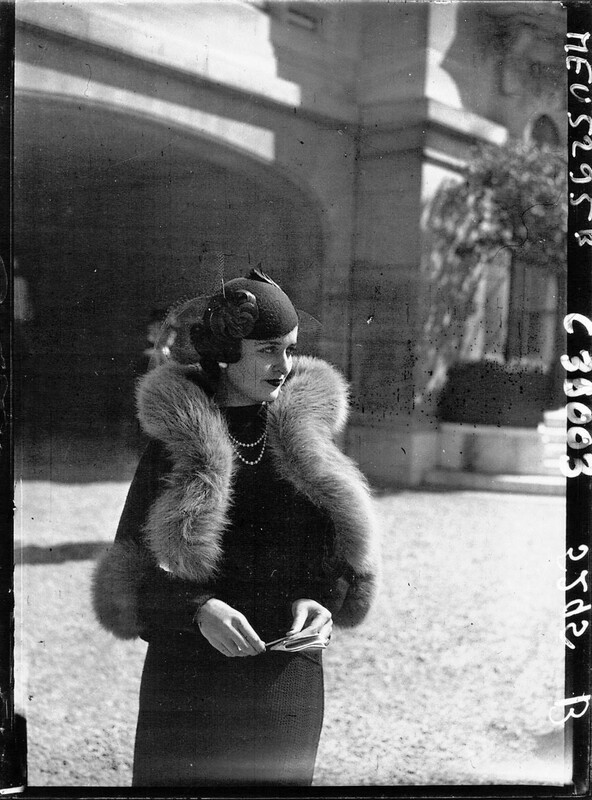 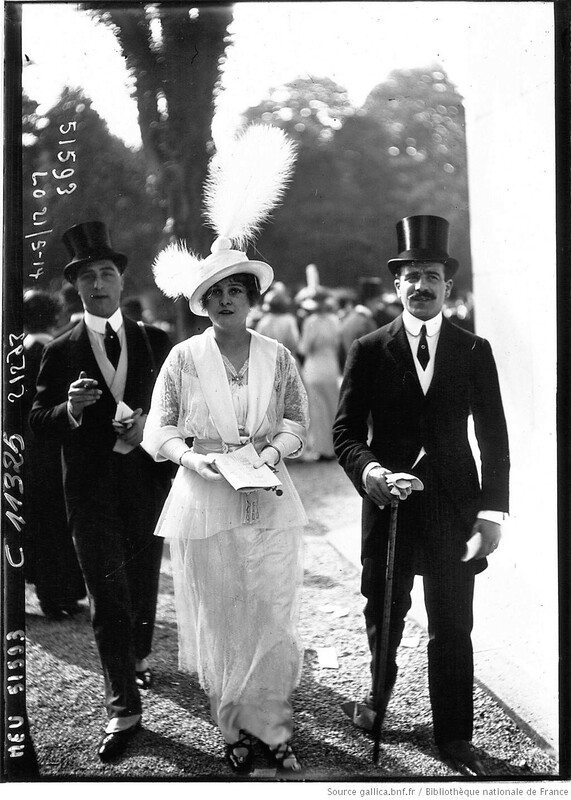 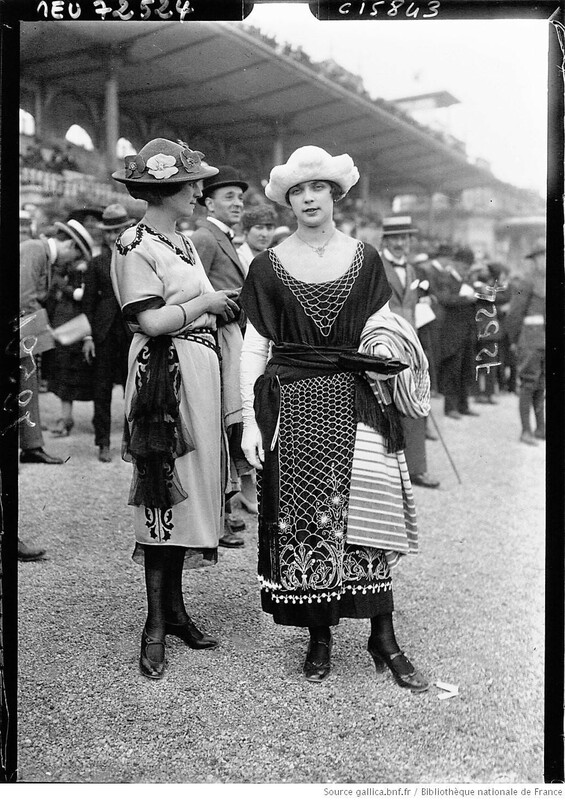 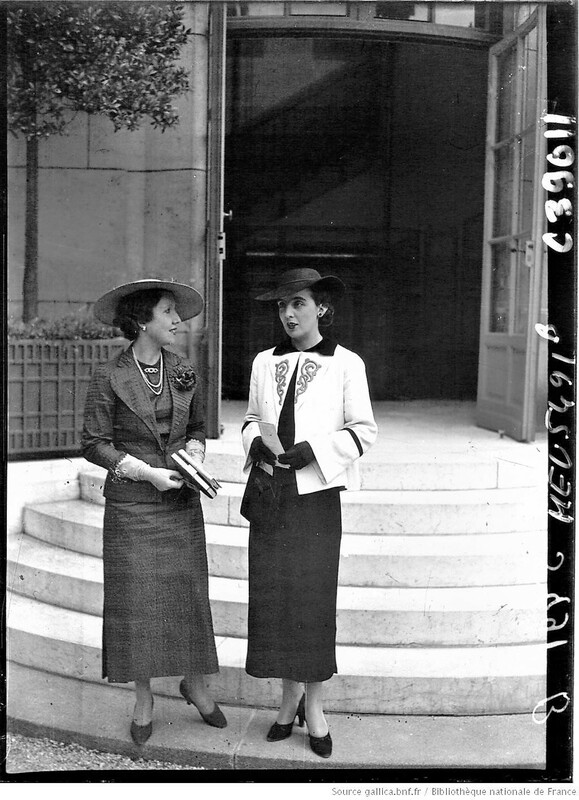 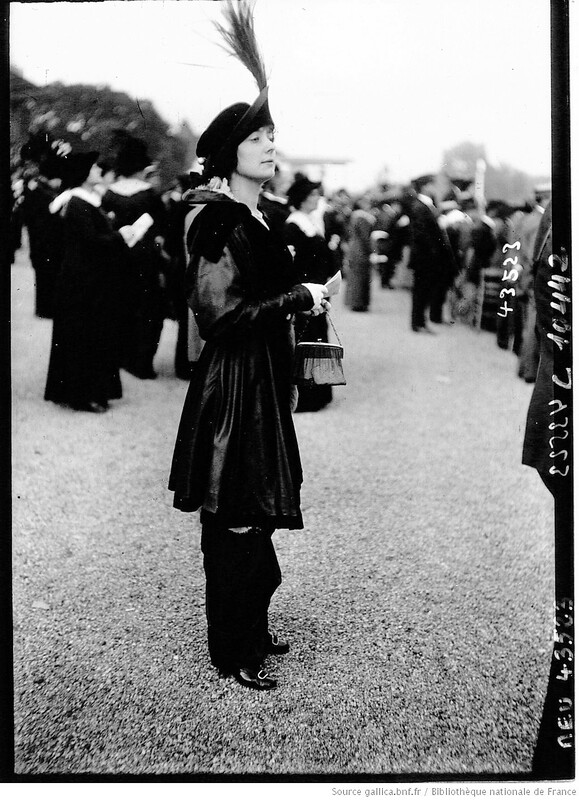 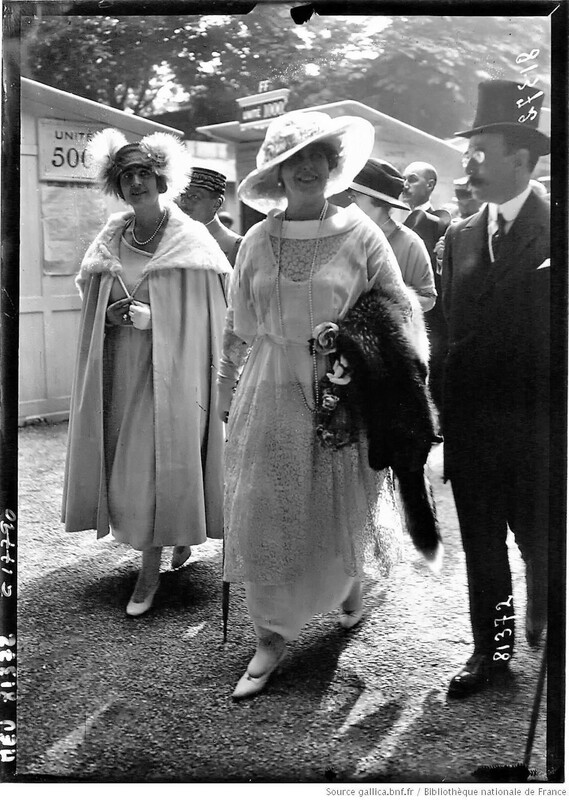 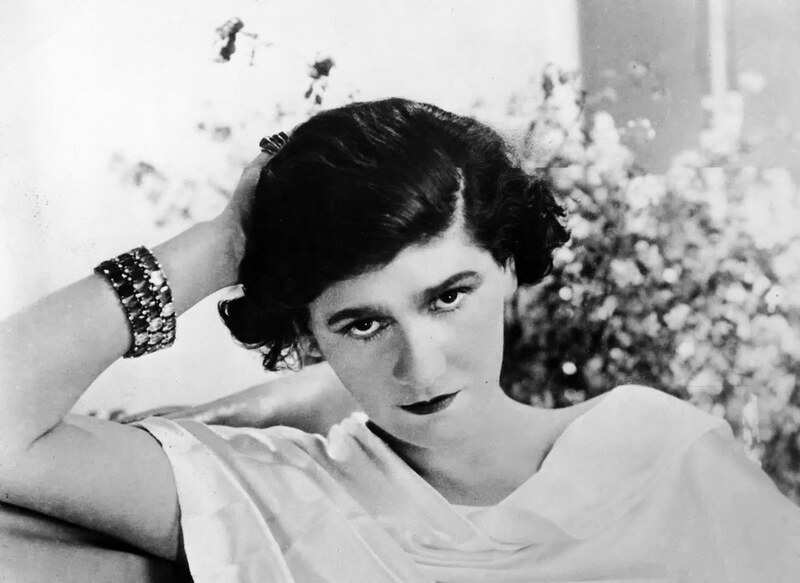 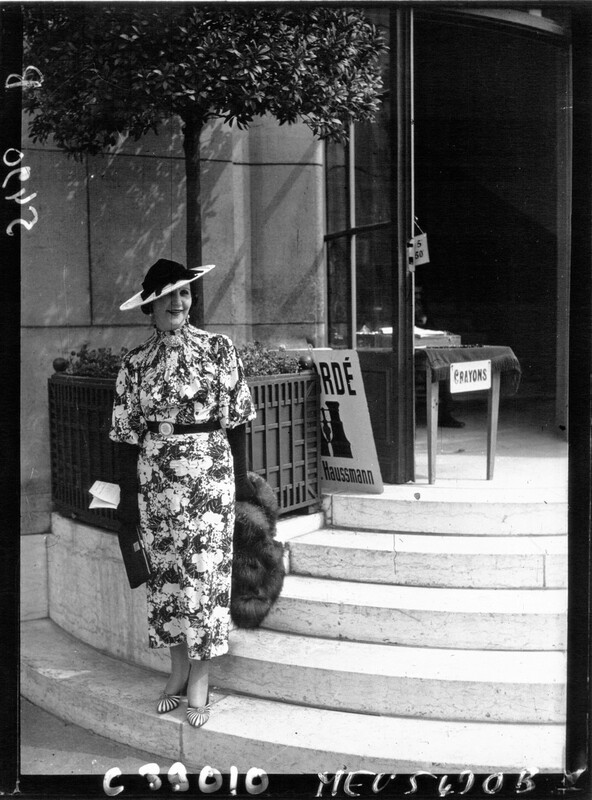 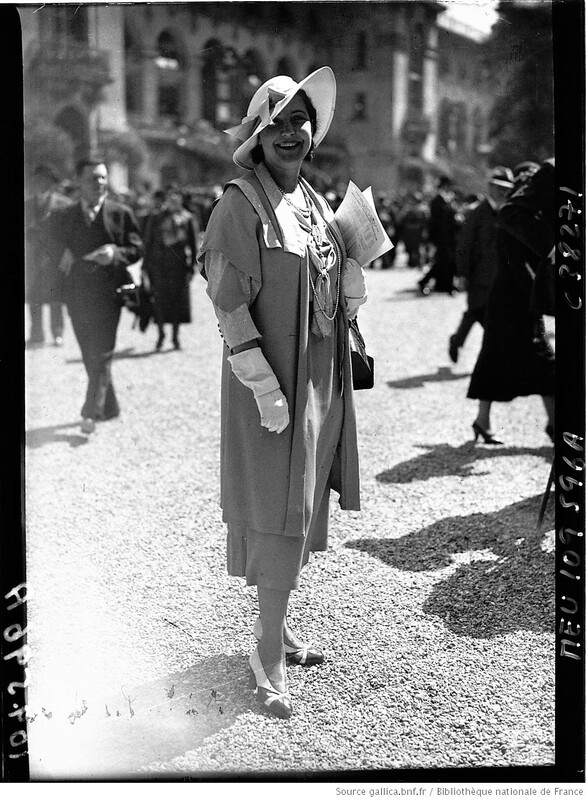 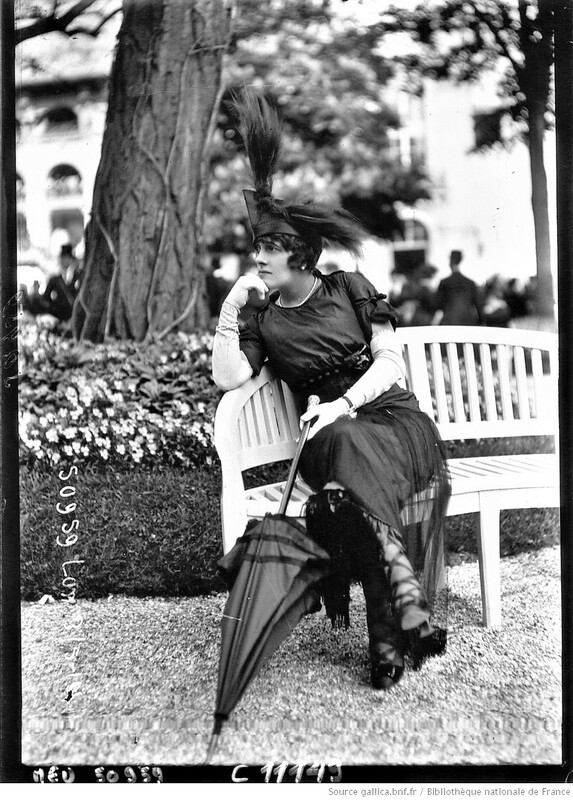 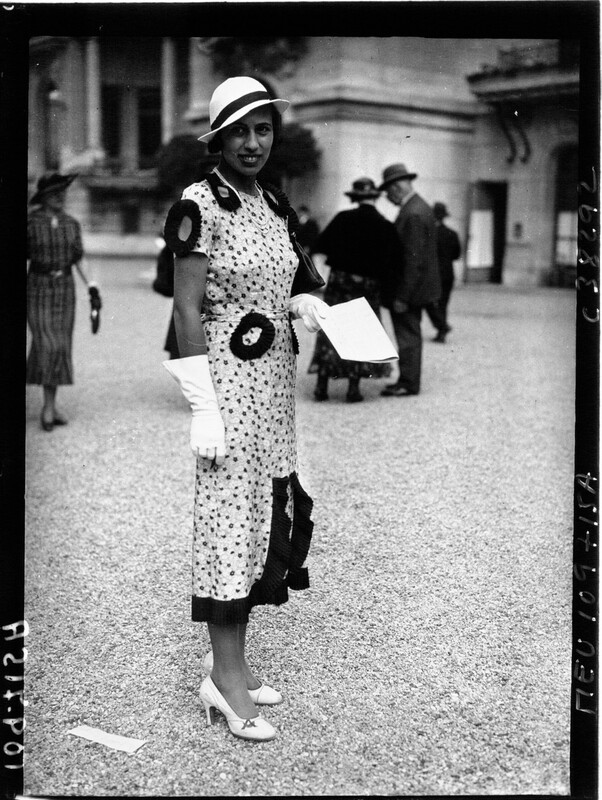 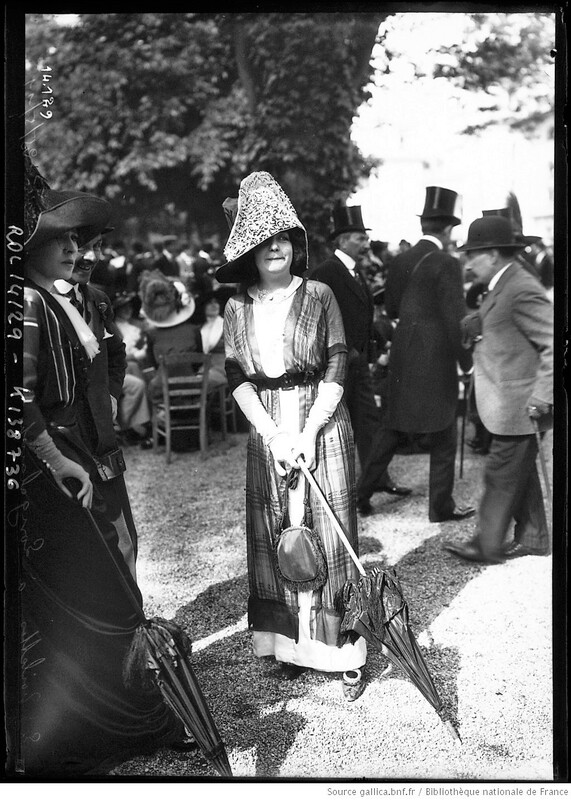 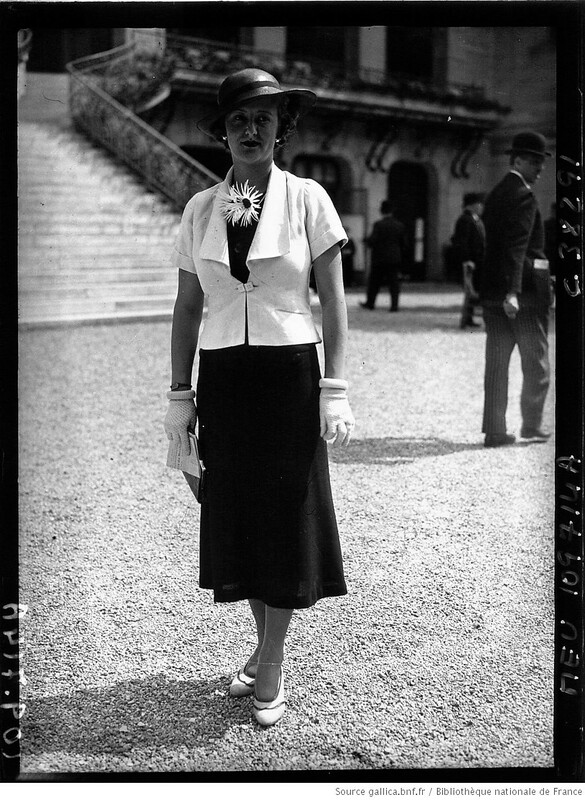 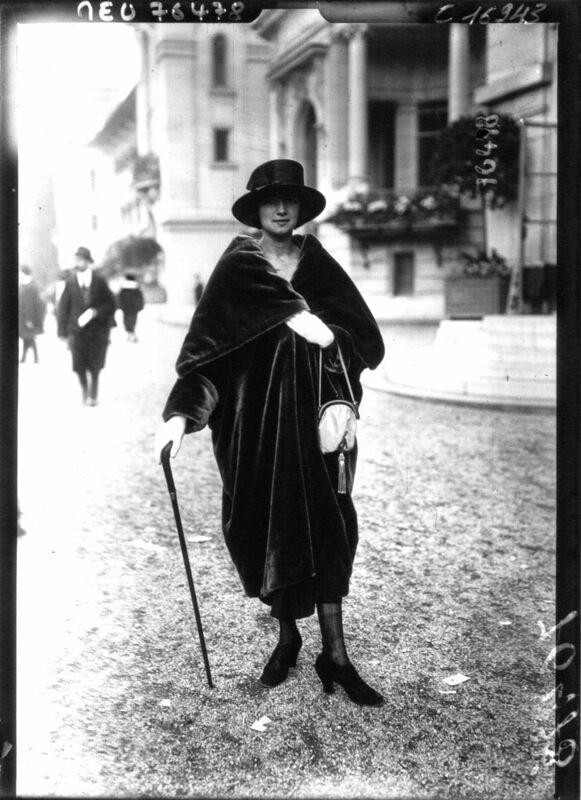 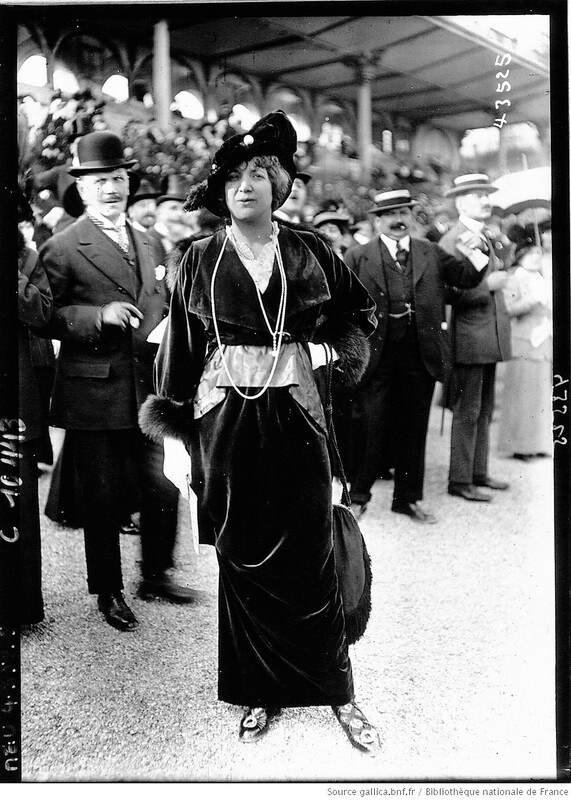 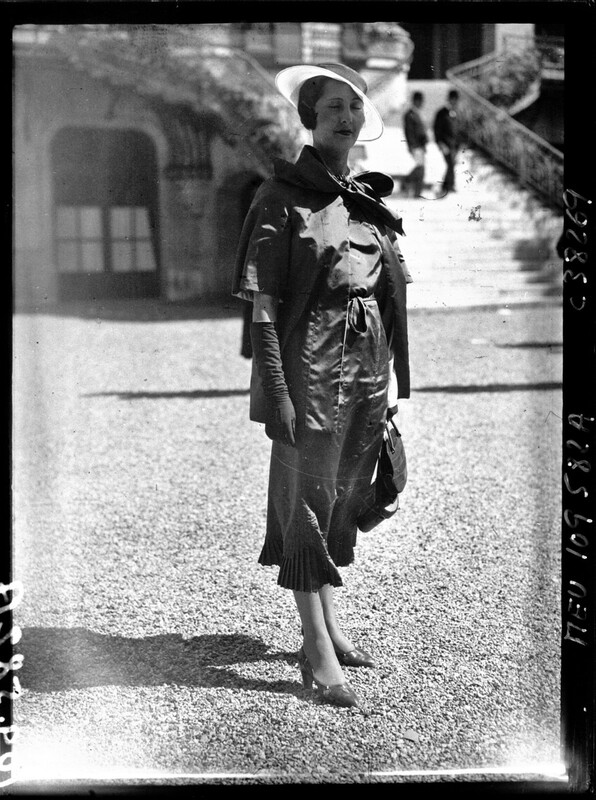 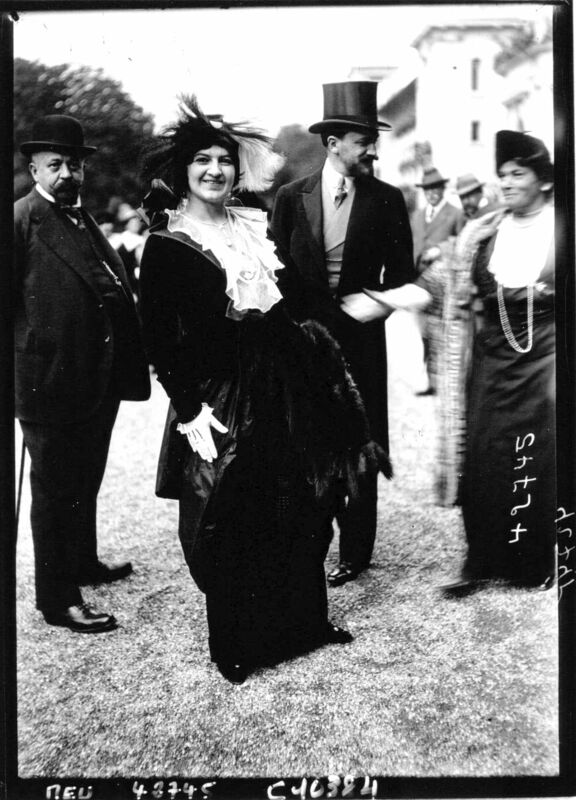 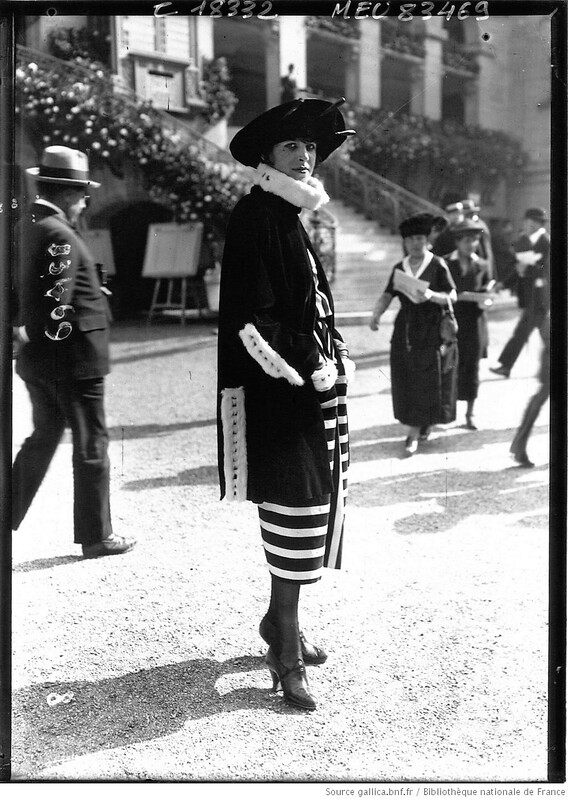 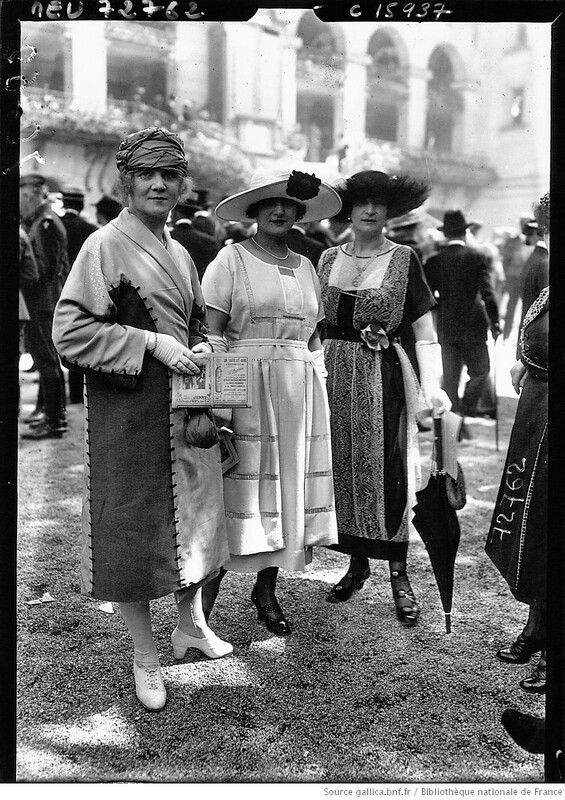 Attending the Longchamp races as the mistress of wealthy textile heir Étienne Balsan was a young Gabrielle “Coco” Chanel. 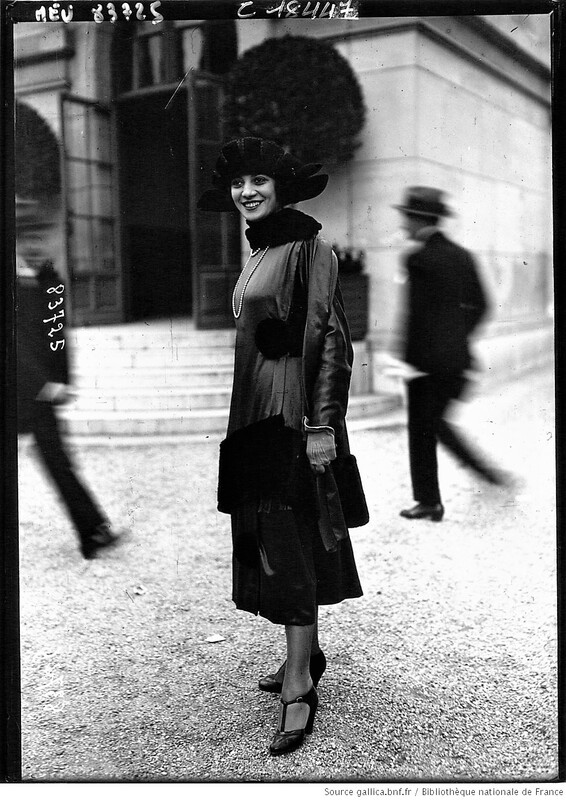 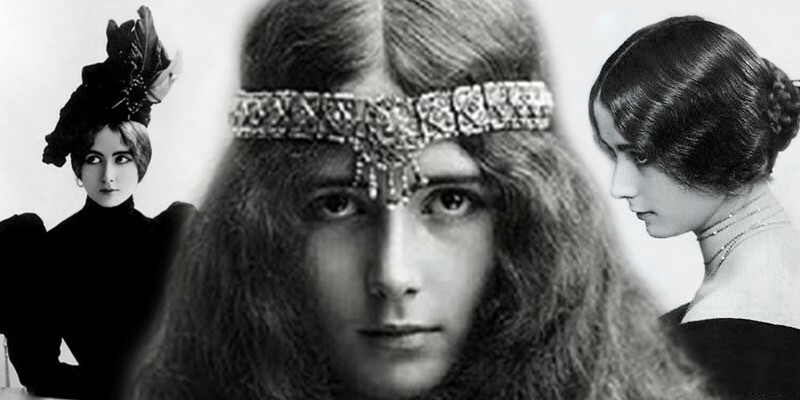 Although she didn’t quite fit the mold of a typical demimondaine, Gabrielle appeared in the loose, simple dress that would later influence an entire generation of “flappers” during the Roaring Twenties. 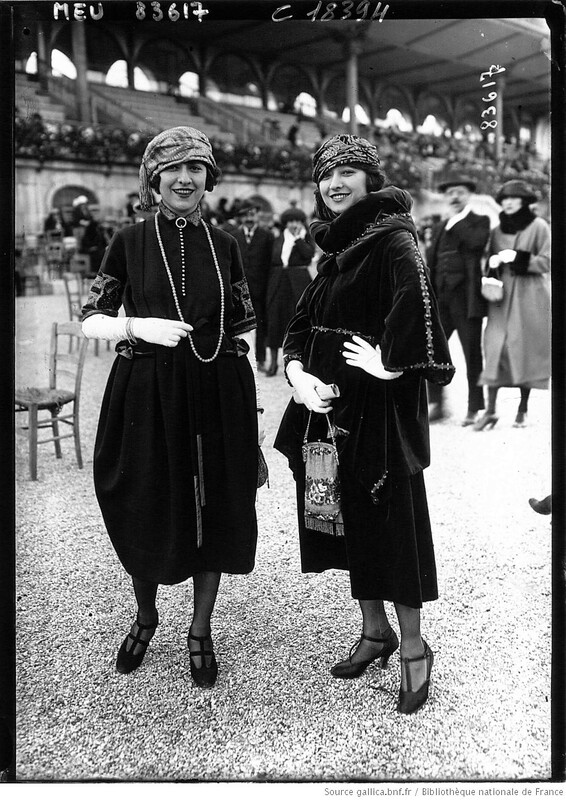 Paris had become the fashion capital of the world and it wasn’t long before designers realized that Longchamp was a goldmine. 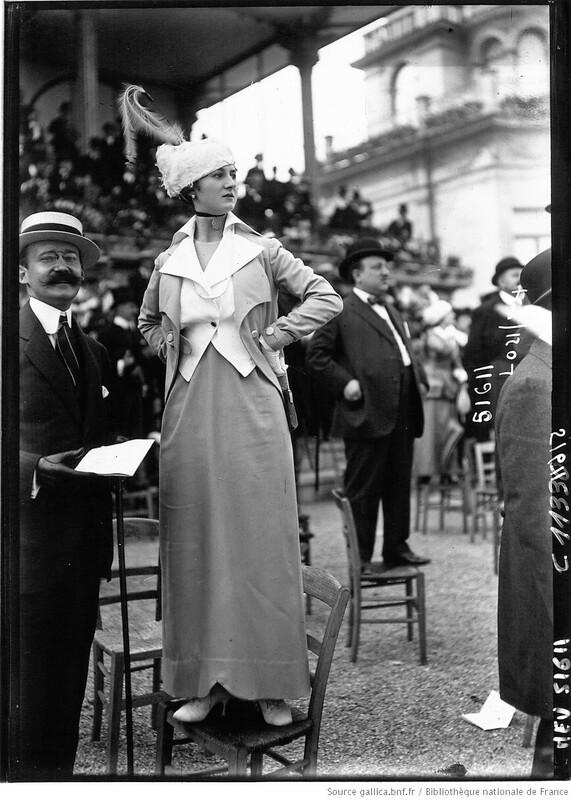 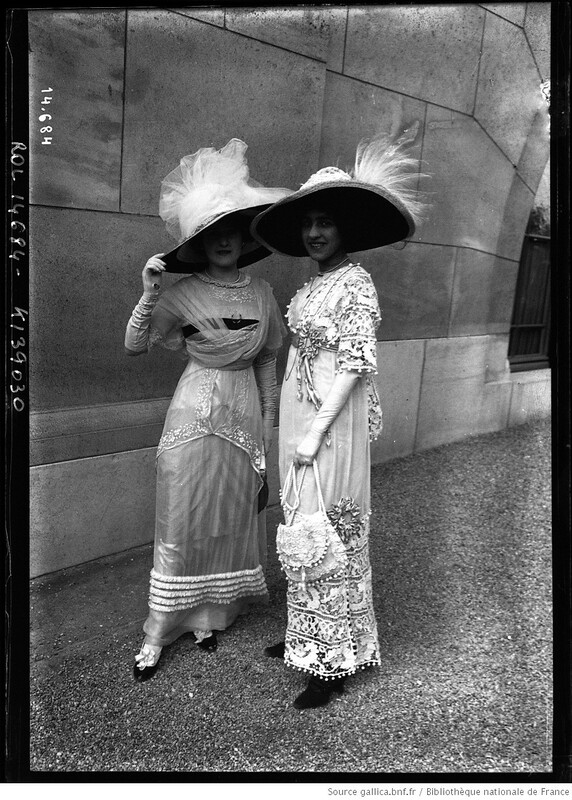 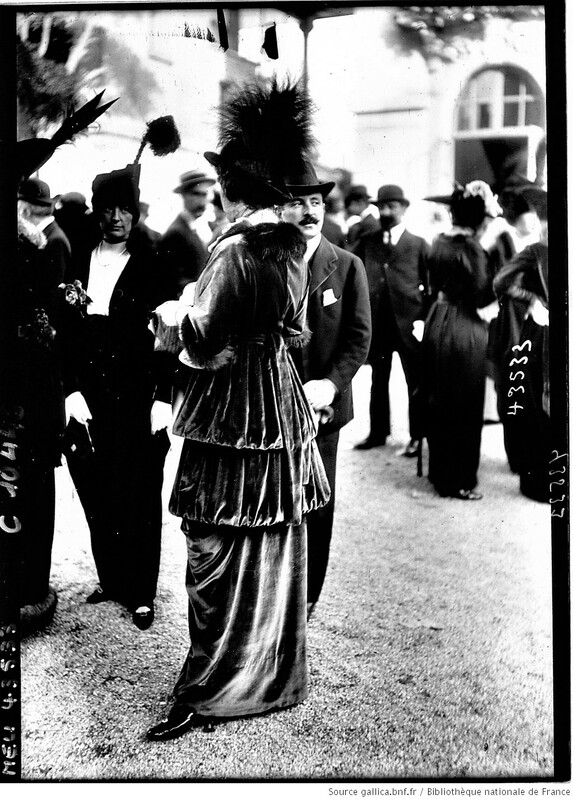 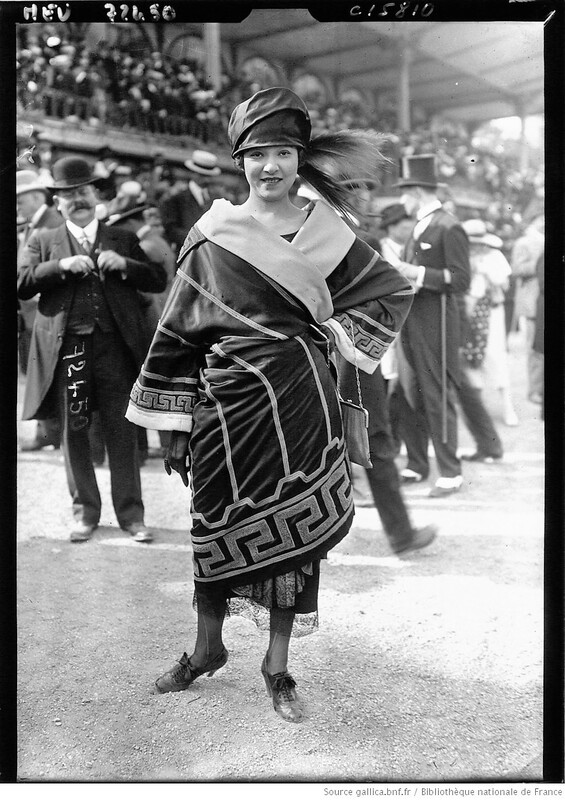 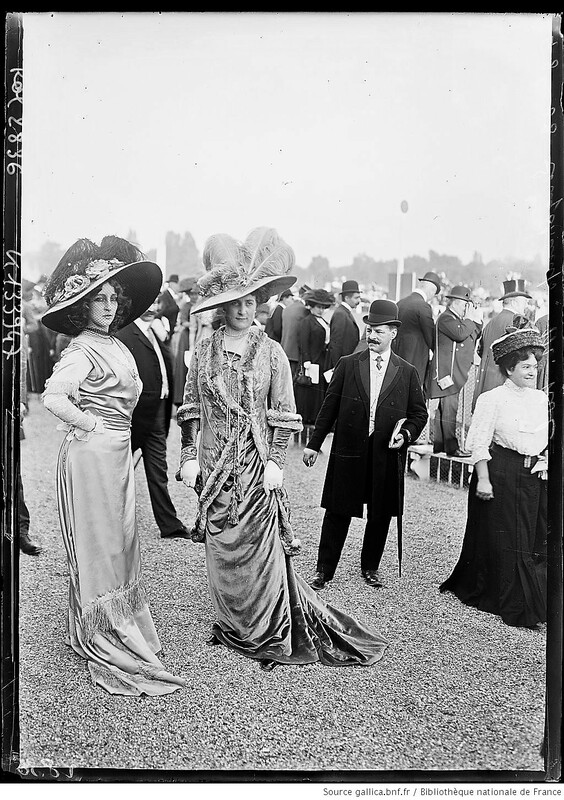 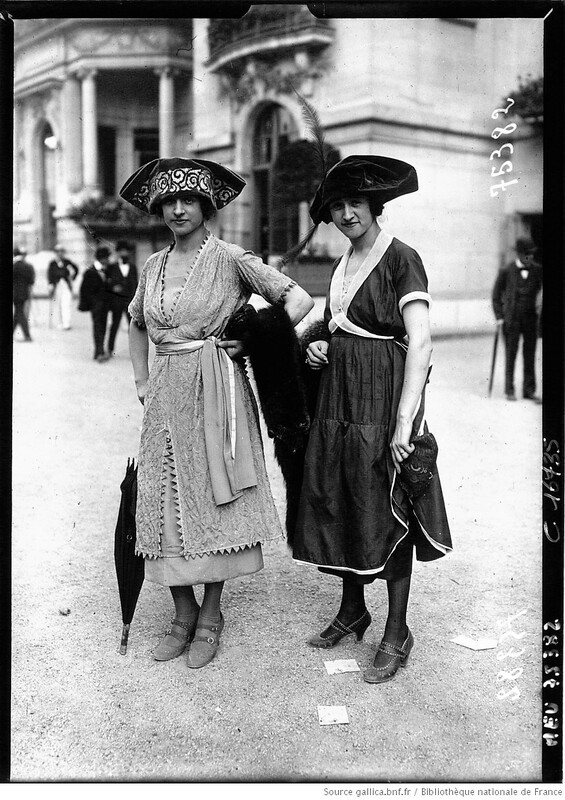 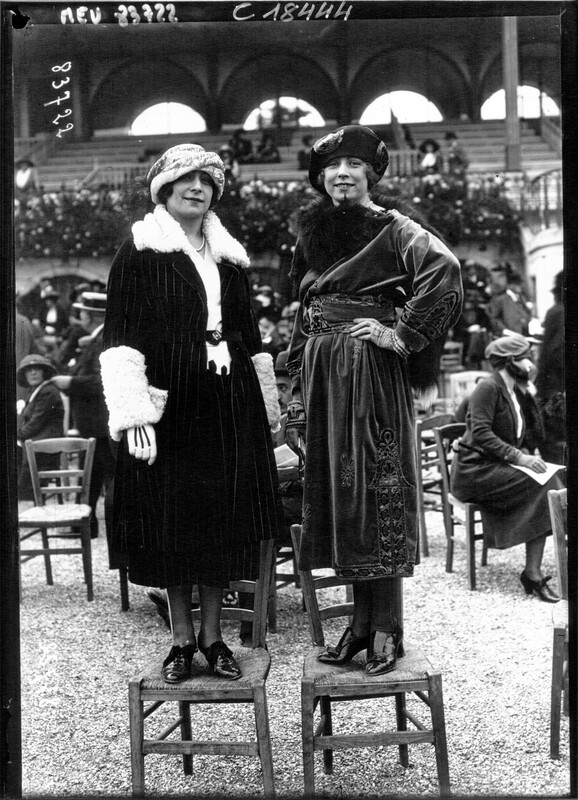 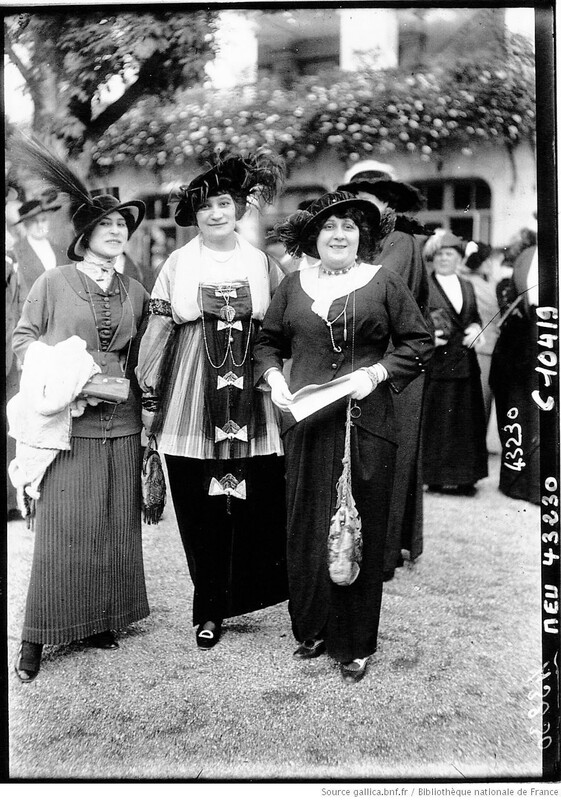 Fashion houses outfitted models with their finest clothes, sending them to the races to show off the latest styles. 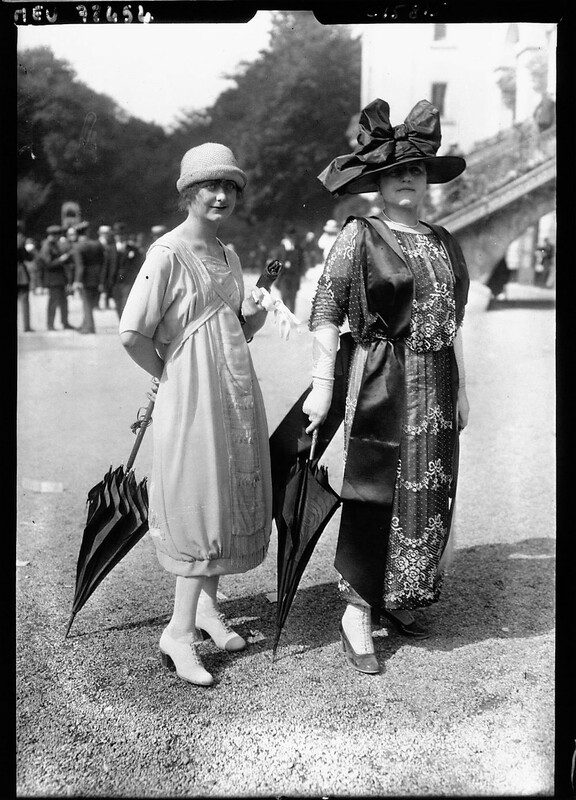 Join us as we travel back in time to the Longchamp Races from 1907 to 1935—a time of elegance and flamboyance that may never be repeated.